يوجد أدناه مجموعة مقتطفة من الآراء والانطباعات عن البرنامج من قبل الشركاء التنفيذيين وخريجي برنامج قمم لعام ٢٠١٨. لمشاهدة المزيد من الآراء والانطباعات، يرجى زيارة قناتنا على اليوتيوب (اضغط هنا). Abdullah is studying electrical engineering at Prince Sattam University. 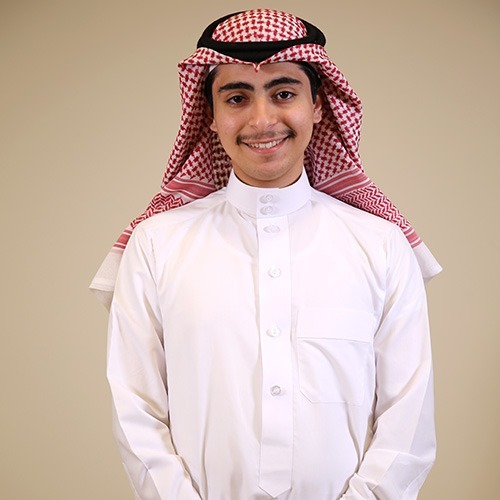 A participant in the National Olympiad for Scientific Creativity in 2014 and a finalist in 2015, Abdullah was also a member of the Mawhiba program for gifted students for three years. He interned with Sail Alriyada-SIEFCO, where he learned about the industrial production process. An avid researcher, he has worked on projects related to the use of piezoelectric discs to harness energy and the effects of Zamzam water. Abdulrahman is a senior at the King Fahd University of Petroleum and Minerals, where he is majoring in electrical engineering. In his junior year, he spent one semester at Georgia Tech as an exchange student; this experience allowed him to grow and discover himself while gaining a greater understanding of a different culture. While studying abroad, he joined Habitat for Humanity’s efforts to improve housing in underprivileged communities in Atlanta. He continues his involvement today. Abdulrahman has always had an interest in mathematics. In high school, he participated in various math contests and won several awards, including the Silver Medal at the National Mathematics Olympiad in 2013. 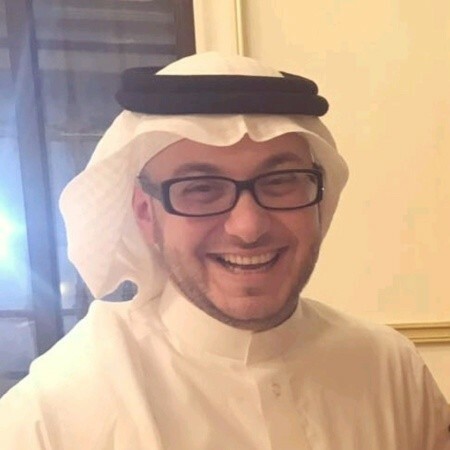 Passionate about math and his community, he teaches math to middle school students as a volunteer for Najahat, a student-led initiative that he launched to provide free, high-quality tutoring services to disadvantaged students in Dhahran. 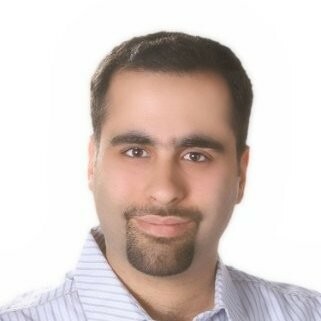 Abdulrahman Jilani is completing a master’s degree in sustainable energy engineering at the University of Maryland. He holds a bachelor’s in mechanical engineering from Worcester Polytechnic Institute, where he graduated with distinction. Passionate about sustainable energy, Abdulrahman supported GRiD Alternatives, a non-profit based in Washington, DC, by installing Solar PV systems in low-income communities. 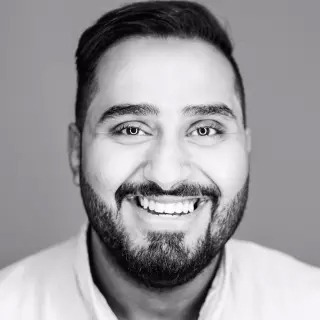 Professionally, Abdulrahman has worked as a 3D printing specialist at Terrapin Works, as well as an industrial packaging design engineer at The Dennis Group in the US, where he designed high-speed bottling lines for Starbucks, Monster, and 7-Eleven. Fluent in Spanish, he completed an internship at a cheese factory managed by Fundación Paraguaya in Paraguay, where he helped the factory improve energy consumption and streamline its production line. A PADI Divemaster and Technical Diver, he recently worked at a dive school in Mexico, where he trained others in the sport. 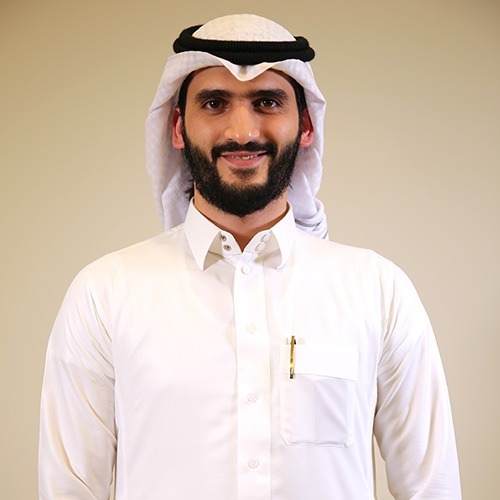 Abdulrahman will be interning with MiSK this upcoming summer at The University of Tokyo Solar Global Center. In September of 2018, he will be starting his MBA program at MBSC in King Abdullah Economic City. Ahmad is a fifth-year student studying medicine and surgery at Taif University. He is active in both research and cooperative learning at the university, where he helps tutor students. 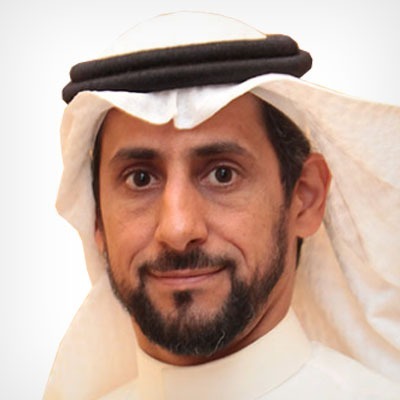 As the leader of a research group, he won third place at the Seventh Conference for Students of Higher Education in the Kingdom. 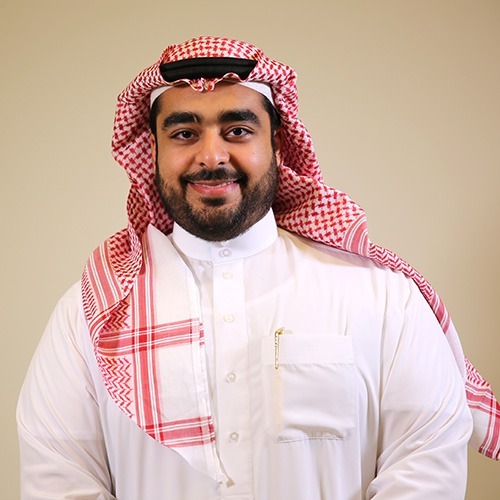 Before entering college, Ahmad graduated high school at the top of his class and was a member of different Mawhiba programs for gifted students as well as the Saudi Aramco Summer Enrichment Program for high-performing students. He placed first in Taif for both the Chemistry and Mathematics Olympiads. He cites ranking first among all students in the College of Medicine and Surgery at the end of his second year as his greatest accomplishment. 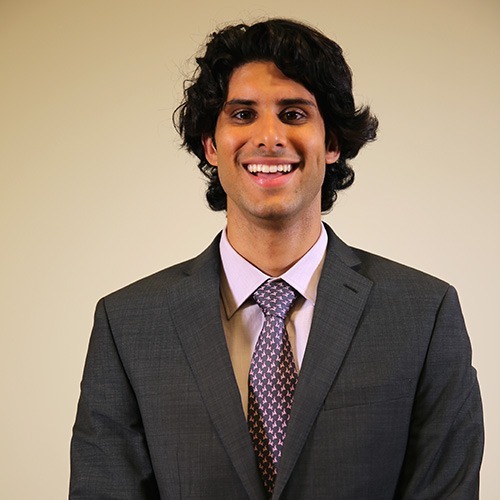 Ahmad has volunteered as a healthcare provider and advocate for several national campaigns to educate others about their health and well-being. 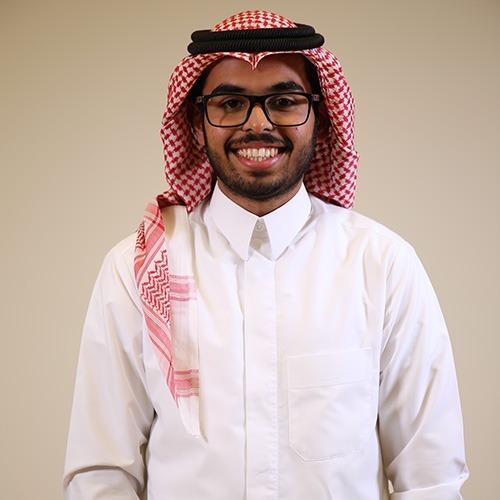 Ahmad Alonazi is a junior at Prince Sattam Bin Abdulaziz University, where he is pursuing a degree in medicine and health sciences. He believes that medicine is a vocation that requires a commitment to service and lifelong learning. 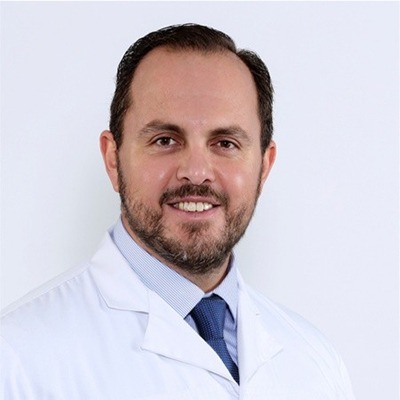 To that end, Ahmad has organized various medical conferences – including, the Second Regional Diabetes Conferences in 2018 and the International Conference of Family and Community Medicine Health Care in 2017 – and attended countless others. As president of the student council, Ahmad worked to advance research and establish new partnerships within the university hospital. He encouraged student involvement in intercollegiate competitions and represented his university on multiple occasions. He also helped organize a blood drive at the Security Forces Hospital and a “No Sugar” campaign to raise awareness about diabetes. Aisha is pursuing a bachelor’s degree in computer science at Taibah University. Her interest in robotics has led participation in programs such as Fischer Tech and the Valeo Innovation Challenge. 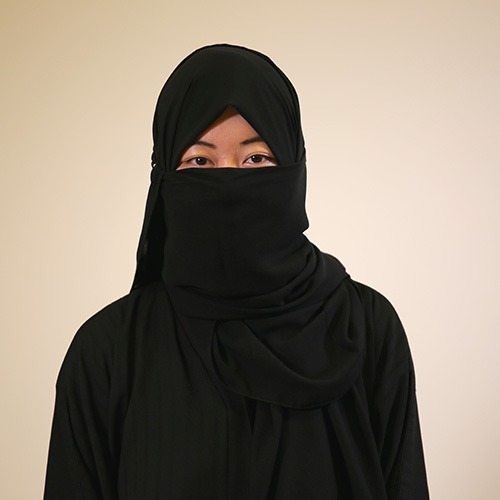 She has also competed in the IEEE GCC Robotics Championship, Sumo Robot Competition, and the Arab Annual Robotics Championship, where she was awarded third place. Aisha also enjoys programming and participated in the FekraTech System Design Competition, the NASA International Space Apps Challenge hackathon, and the HackerRank Programming Jam. Aisha is a member of the Renewable Energy Club and president of the Innovation Club. She also works at Kids Scientists, where she mentors children and teaches them about different areas of science – including astronomy, chemistry, and flight engineering. She was awarded first place in the Ghars Voluntary project for her efforts to help visually-impaired children navigate public spaces. In her free time, Aisha practices Taekwondo. Aljohara is a sophomore at Prince Sultan University, where she is studying business administration with a concentration in accounting. 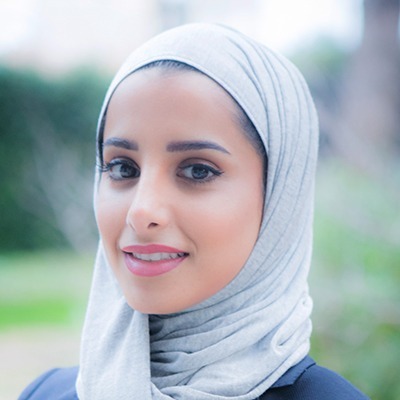 Deeply committed to social activism and humanitarian work, Aljohara is a brand strategist at Tasamy, a non-profit organization advocating for youth empowerment and social entrepreneurship in the Kingdom. 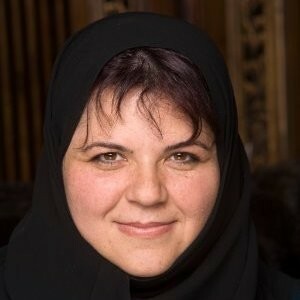 She served as an ambassador for the Mohammedian Women Program. Always on the lookout for innovative ways to serve society, Aljohrah has volunteered countless hours organizing exhibitions, workshops, and charity events for various organizations. In 2015, Aljohara was the youngest speaker at the Wharton Innovation Summit in Washington, DC. She earned the Competent Leader and the Competent Communicator awards from Toastmasters International at the age of 16. An entrepreneur, Aljohara co-founded Reserved, a luxury gifting company. She served as the Head of Development and Global Initiatives at MedNav Global in the USA. 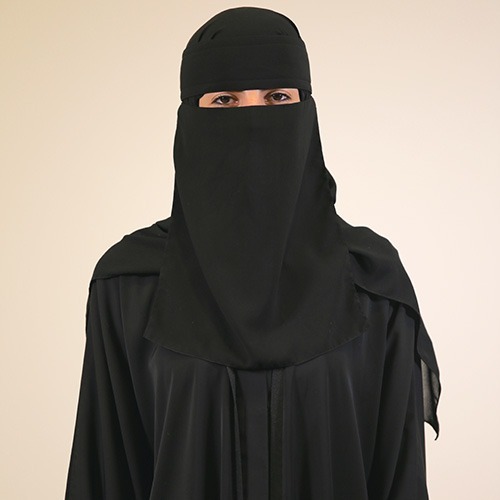 In her free time, Aljohara enjoys photography, graphic design, and creative writing. She also loves traveling to new places; a seasoned globetrotter, she has explored over 40 cities around the world. 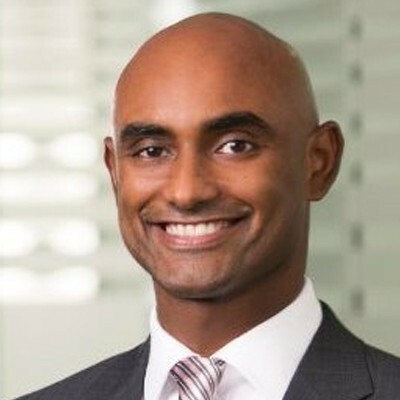 Born in Sudan, Almunzir attended British Educational Schools (B.E.S) in Khartoum before moving with his family to the Netherlands at the age of eight. For the first time, he was exposed to a different language, culture, and way of life. After one year in Amsterdam, he returned home to Sudan, until he moved to Dammam four years later. 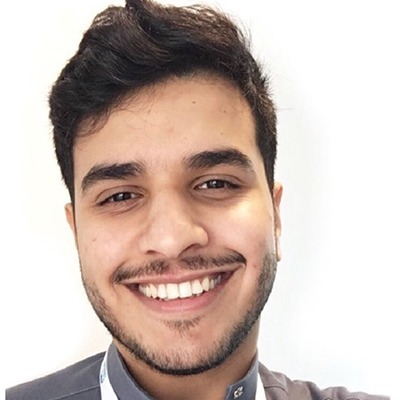 Almunzir is currently studying mechanical engineering at King Fahd University of Petroleum and Minerals (KFUPM); he was one of the few non-Saudis accepted into the program. As a course assistant at the university, he evaluates thermodynamics coursework. 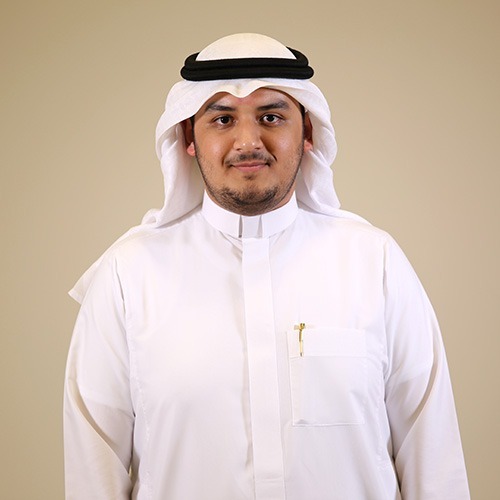 He is a member of the Mechanical Engineering Club at KFUPM and serves as president of the Project Committee. In addition, Almunzir volunteers at the Eastern Province Volunteering Center, where he helps organize various community events. He also tutors students in mechanical engineering at Faheem. Deeply interested in thermal science, he is working to become a Combustion Engineer. Dalya is a medical intern at King Abdulaziz University (KAU). A Mawhiba participant and frequent competitor in scholastic competitions, she has won: first place in the Innovators in Digital Excellence at KAU, the Gold Medal in the National Olympiad for Scientific Research, and the Best Innovative Project award at the FIRST LEGO League competition in Atlanta, USA. She is most proud to be the first female student from Jeddah awarded the Sheikh Hamdan bin Rashid Distinguished Student Award. 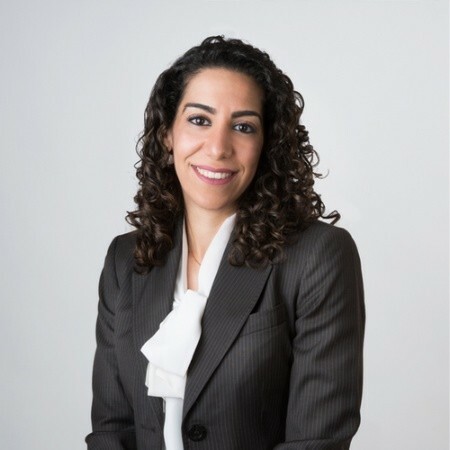 Dalya is a founding partner of a startup, called Road of Change, and has co-authored a book by the same name that discusses her experience training over 2,000 health sciences students across the Kingdom. She also presided over The Bridge Project at the KAU College of Medicine, which helps first-year students. 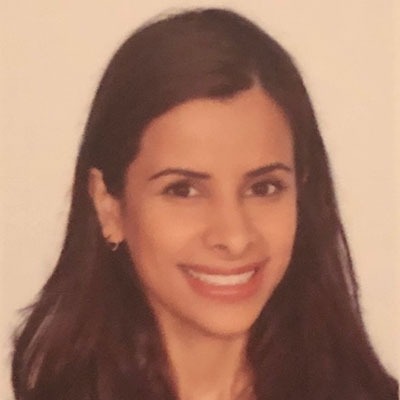 Dalya has spoken at the Saudi Society of Neurology Conference, organized the annual University Research Summer School Convention, and written eight research articles, two of which have been published. Deema is pursuing a bachelor’s degree in business and management at the University of Bisha; she is set to graduate in the fall of 2020. From astrology to robotics, her interests have always spanned a range of topics. 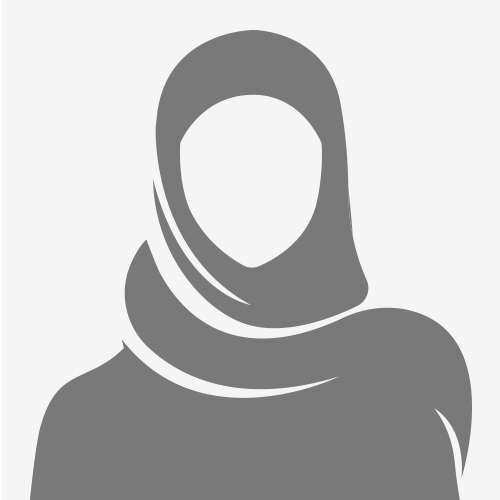 Deema is the recipient of a number of awards, including: second place in a 2015 robotics and artificial intelligence program for gifted students at the International Islamic University in Malaysia, a gold medal at the National Robotics Olympiad in November 2016, a gold medal at the International Warsaw Invention Show, a bronze medal at the International Technology Exhibition in Kuala Lumpur in 2017, an award from State Office of Industrial Property of the Republic of Macedonia, the Thailand Award for the Best International Invention, the Ministry of Education Excellence Award in 2017, and the Ambassador of Quality Award by Ministry of Education in 2017. Deema has also contributed to multiple research papers on stem cells and chemotherapy. In her free time, Deema volunteers by visiting the elderly and giving fluoride treatments to children. She is a member of the International Astronomy Center. 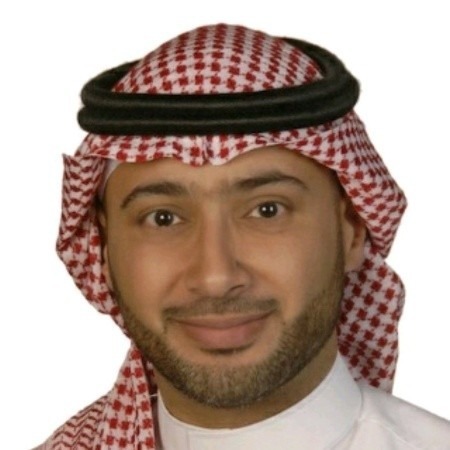 Fahad is pursuing a master’s degree in sustainable regional development at his alma mater King Saud University, where he earned his bachelor’s degree in urban design and planning. 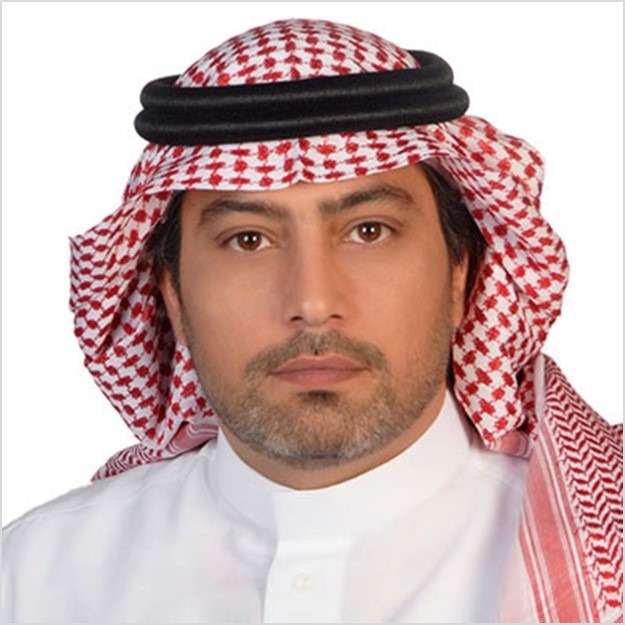 He is applying his knowledge to the environment by participating in the United Nations Future of KSA Cities Program and the Princess Adelah bint Abdullah Heritage Saudi Preservation Society. 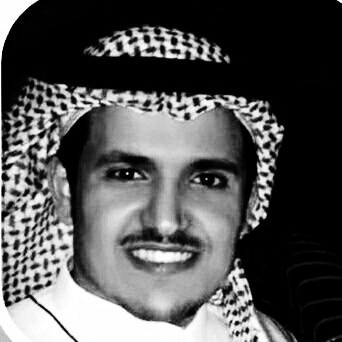 Fahad has previously interned at the Saudi Commission for Tourism and National Heritage, where he identified conservation techniques for the preservation of historic sites. 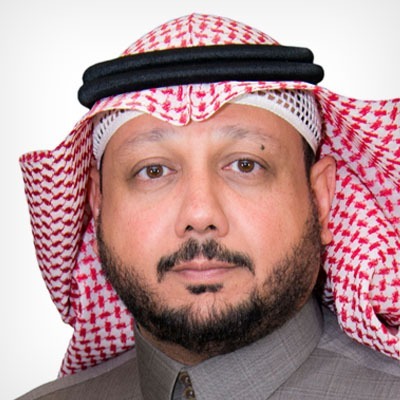 He is most proud to have led a joint tree planting campaign in Riyadh with the Arriyadh Development Authority, which inspired and faciliated access for him to discuss revegetation strategy with leading government officials and companies. A former leader of a Riyadh youth program, Fahad is a recipient of the Public Scouts Service Program Medal. Farah Alshammari is a sophomore studying finance and investment at Tabuk University. She is the recipient of the 2017 Exemplary Student Award bestowed by His Highness Prince Fahad Bin Sultan and won second place at the UCMAS Mental Arithmetic International Competition in Malaysia. In the summer of 2016, Farah took part in the Misk Foundation Leadership Development program in Boston. Run by Harvard University, the program allowed her to develop her personal skills and engage in positive interactions with other students from all over the world. Earlier this year, Farah attended Saudi Aramco’s Women Development Program, which consisted of panel discussions, seminars, and workshops on female empowerment. She is excited and ready to extend those experiences through the training, development, and networking opportunities offered by the Qimam Fellowship. She has volunteered at the TEDxUniversityofTabuk and the Mubaderoon initiative hosted by Tabuk’s Society for Culture and Arts. Farooq is studying finance at Prince Sultan University (PSU). 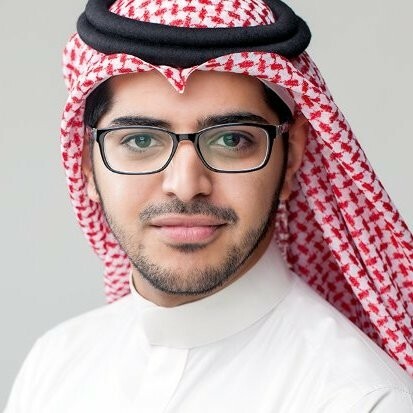 He is a member of Model United Nations, and, as an organizer of the Saudi University Debate Contest, he is particularly proud that his team was awarded first place (out of ten universities) for their work on Vision 2030 issues. 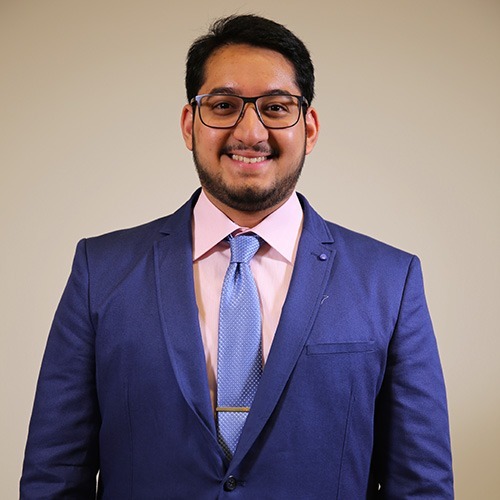 Farooq was recently elected Sergeant-at-Arms for his university’s Toastmasters International club, serves as vice president of the PSU Student Magazine, and has held an internship with the PSU Research, Translation & Initiatives Center. 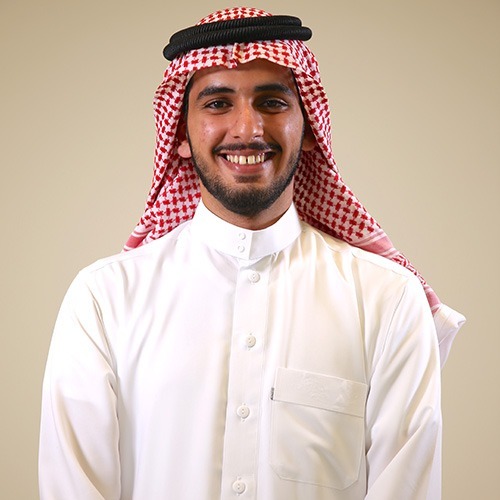 Off campus, he volunteers as an assistant brand manager as well as helps organize and manage major events in Riyadh. Farooq is an avid reader, is certified in First Aid and CPR, and holds a second-degree brown belt in Shōtōkan Karate. He became a Twitch Affiliate during his freshman year and helped raise money for a game-industry charity dedicated to improving the lives of children. Starting in September 2018, Farooq will be enrolled as an exchange student at the University of Florida, where he was awarded a full scholarship for the Fall semester. Fatimah Al-Edili is a freshman at King Faisal University, where she is pursuing a bachelor’s degree in medicine and health sciences. After a fire safety drill caused panic in her school in 2014, Fatimah invented a fire alarm system for the hearing impaired. She was awarded the Sheikh Hassan Al-Afaleq’s Young Inventor’s Award and two bronze medals at the National Olympiad for Science Innovation for her invention. Fatimah feels strongly about the importance of coaching and sharing one’s knowledge with others. To that end, she has actively participated in multiple awareness campaigns for diabetes and chronic childhood diseases. She has also launched an online medical channel at her university to disseminate healthcare information to the public. She is looking forward to the coaching experiences offered through the Qimam Fellowship. 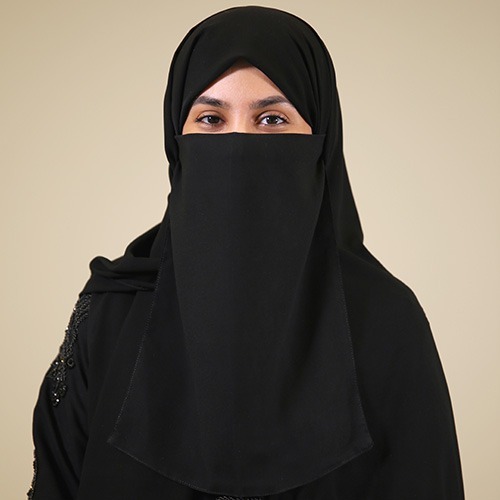 Fatima Alsafer is a freshman at Imam Abdulrahman Bin Faisal University, formerly known as the University of Dammam. She is majoring in medicine and health sciences with a concentration in dentistry. Working alongside Wud Charity Foundation, Fatima trained low-income families in Khobar on how to improve local products and crafts and enter the business world to earn an income. At the King Fahd University Hospital, she helped set up an entertainment center and library for child patients. She also helped with environmental education efforts. Fatima previously participated in the FIRST LEGO League competition and takes pride in being a finalist at the National Olympiad for Science Creativity in 2012 and winning first place in Mawhiba Dammam in 2013. In addition, she received first place in the General Administration Award for Outstanding Educational Performance in the eastern region in 2013 and first place in a spelling competition later that year. In 2016, Fatima was recognized for her academic excellence at a regional level in the Eastern Province, and was recently awarded the Outstanding Declamation Star in Samaa Wad Award for Volunteerism. 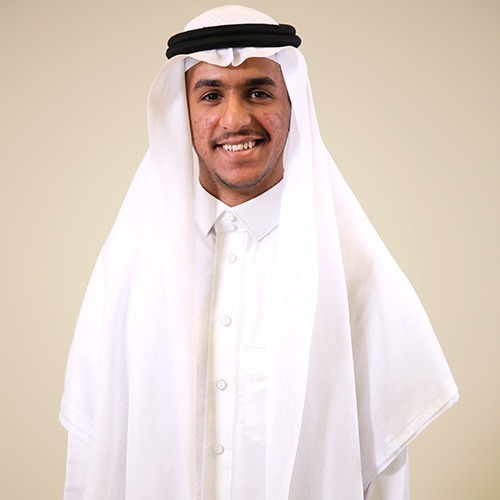 Habib is a scholarship and Dean’s List student studying electrical engineering at Alfaisal University. He is also interested in design and takes additional courses to nurture that skill. An active participant in academic competitions, Habib has won the VEX Robotics National Championship for two consecutive years and represented Saudi Arabia in the World Championship in the United States. He was a core member of the Formula Student Team that represented Saudi Arabia in the Formula student engineering competition in the UK. 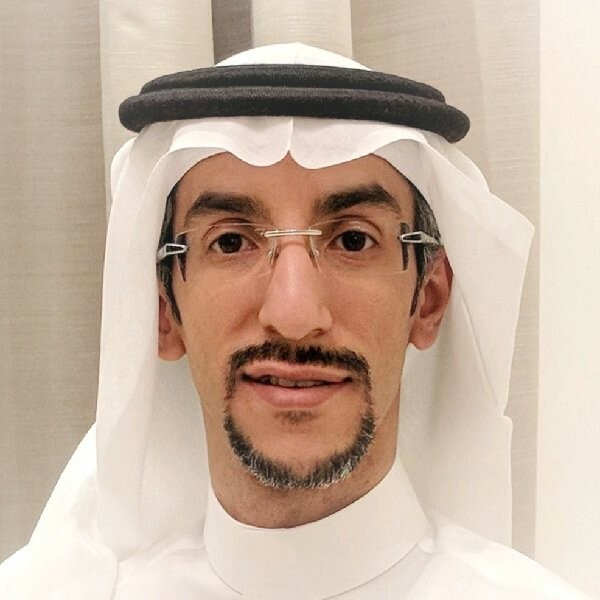 As the team leader of the Alfaisal Boeing Solar Car project, he spearheaded efforts to develop, design, and implement different aspects of the university project. His research on the different electrical modules of the car won second place two years in a row in the Annual Poster Competition. 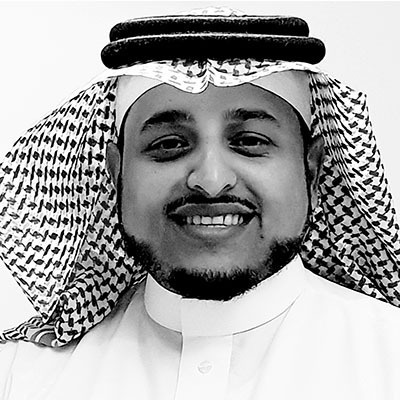 A member of the Riyadh Schools Voluntary Club, Habib participates in a number of volunteer efforts, including supporting visually-impaired students during graduation ceremonies. 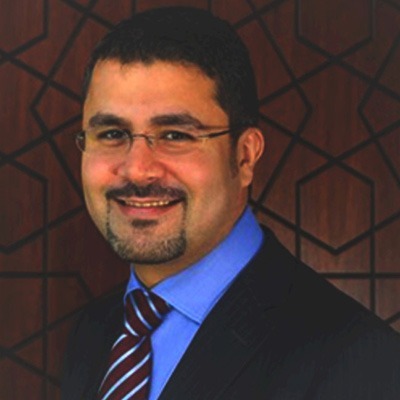 Hassan Khdary is pursuing a degree in medicine at the King Saud Bin Abdulaziz University for Health Sciences. Passionate about innovation, Hassan regularly participates in international science contests. 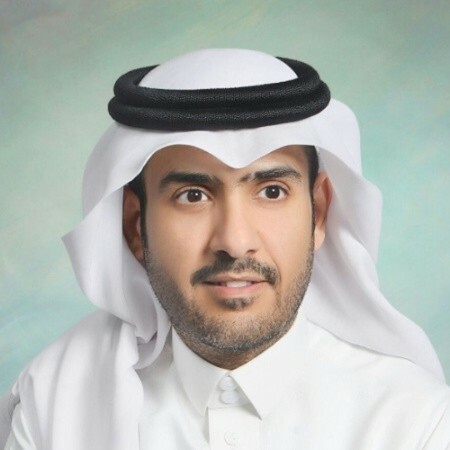 He is the recipient of a number of awards – including, third place in biochemistry at Intel’s International Science and Engineering Fair, first place at Intel’s Science Competition Arab World, and third place in the National Olympiad for Science Innovation. Additionally, he holds a patent for developing nanoparticles to eliminate malaria disease. Hassan is keen to share his love for research and innovation with the next generation. He assisted a number of students in conducting research and coached them to participate in science fairs. 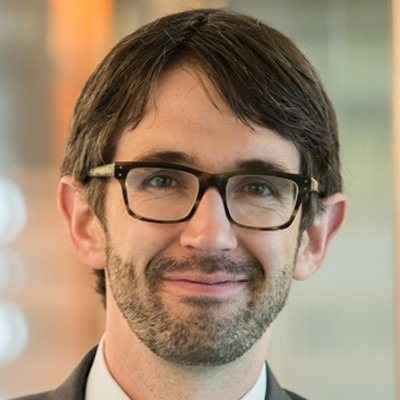 As a member of the science committee of the Health Professions Conference, he reviews research submissions and helps set the conference agenda. Kamel is a student at the University of California, Los Angeles (UCLA) majoring in psychobiology, minoring in cognitive science, and specializing in computing. Kamel interned with the UCLA Sports Medicine Internship Program and worked as a behavioral researcher at the UCLA Behavioral Testing Core and as a researcher at the UCLA Fanselow Lab, where he conducted pharmacological manipulations and modifications to analyze brain structure interactions and neural changes in fear-based learning. Deeply committed to the global community, Kamel has volunteered with: FISH to promote health education in underserved communities in Mexico, MEDLIFE to deliver healthcare in Peru, Cedars for Care to distribute food to Palestinian refugees in Lebanon, and Help Center to support children with intellectual disabilities in Jeddah. A decorated swimmer, he is a seven-time medalist in the National Swimming Championships in Saudi Arabia. 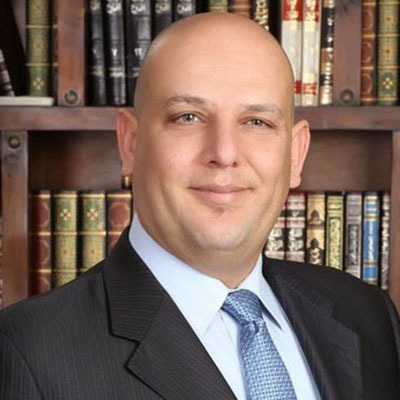 Kamel is fluent in Arabic, English, French, and Spanish. 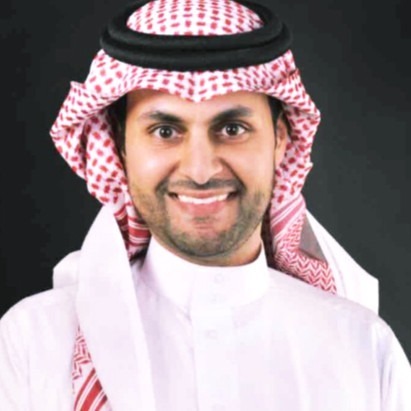 Khalid Alkenaa is pursuing a bachelor’s degree in medicine at the King Saud Bin Abdulaziz University. He was honored by his university as an active contributor to student life and with the Best Delegate Award for his participation in the U.S. Embassy’s Model United Nations program in Riyadh. A strong believer in strength through diversity, Khalid enjoys exploring new cultures and bringing people together. 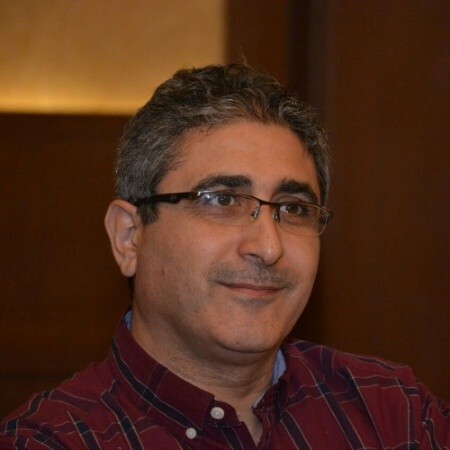 At the US-Middle East Partnership Initiative (MEPI), Khalid received training in leadership, conflict resolution, and civic engagement from Montana State University. Earlier this year, he was selected to participate in the Connecting Cultures Program in Oman and in the Crossroads Program from Harvard in Dubai, where he engaged in face-to-face dialogue with other young leaders. Together, they identified shared values, explored cultural differences, and discussed future challenges. 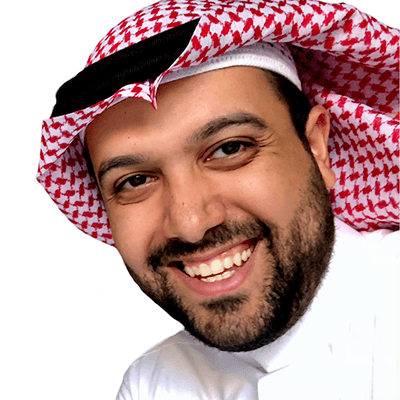 When he recognized the dearth of high-quality Arabic content online, Khalid launched the Mohtwize online platform to publish Arabic podcasts, infographics, and articles on topics ranging from physics to philosophy. Khalid hails from the southern region of the Kingdom. 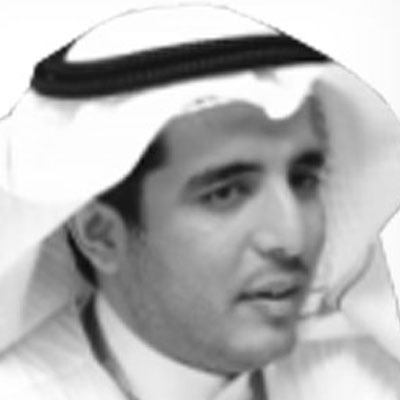 He is currently studying accounting at Jazan University (JU). At the end of his first year, he was ranked number one in his cohort and received a scholarship for his academic achievements. 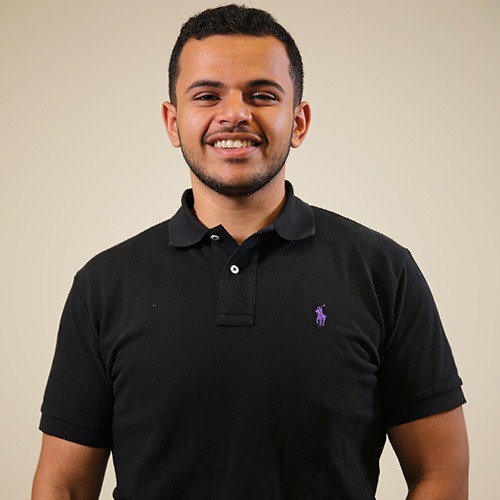 Active on campus, Khalid is involved in multiple student clubs and has volunteered at Al Madar Newspaper. 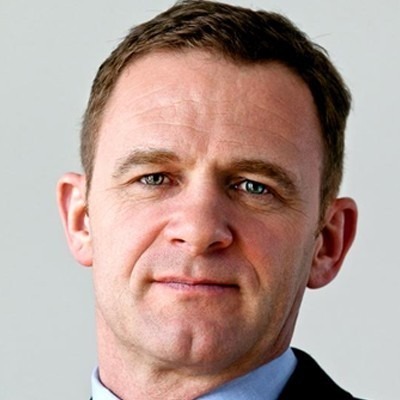 He has also participated in trainings focused on leadership and risk management. 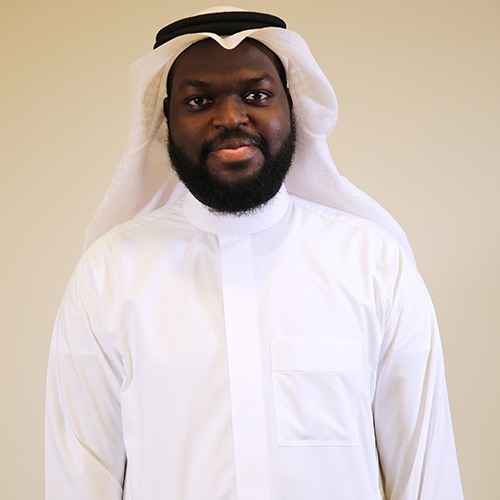 To complement his academic work, Khalid has pursued on-the-ground experience by interning at Saudi Aramco and working in his family-owned supermarket business. To make a difference in his community, he and a group of friends led an effort to enhance the local streets in six different villages by painting the sidewalks and delineating existing car lanes. Lamees Altamim is studying medicine at King Saud University. 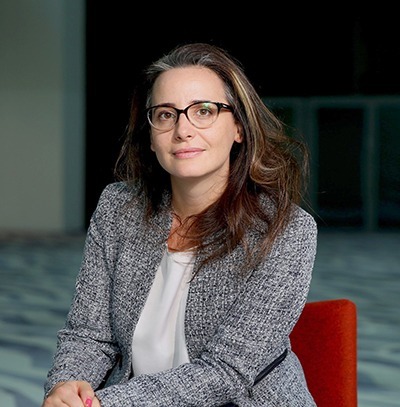 An avid researcher in the field, she is the author or co-author of over ten papers on topics ranging from intracerebral hemorrhage to evaluation of complex genetic diseases. 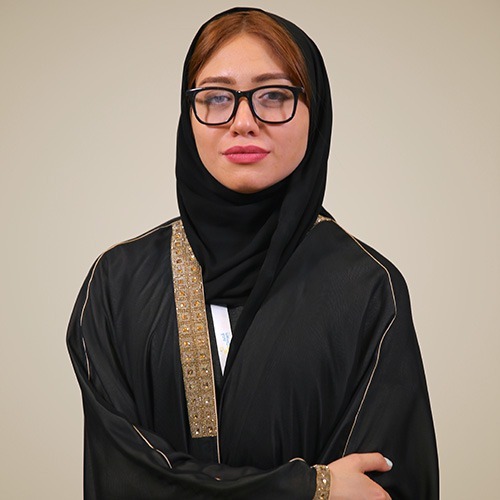 Her interest in medical and engineering innovations has won her awards, most recently third place in the Innovation Division at the 9th Scientific Symposium held in KSU. She was part of two research teams that eventually filed for patents at the United States Patent Trademark Office. 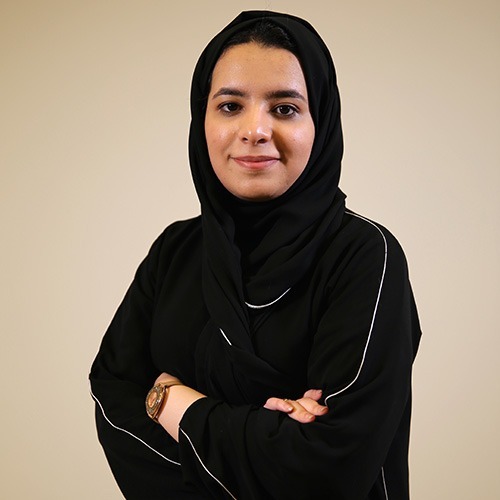 Lamees led the development of KSU’s official College of Medicine app and the first official collaboration between KSU’s Innovation Center at the College of Computer Sciences and the Research Center at the College of Medicine. She served as the President of the Ehyaa Students Partnership Program for organ donations and head of the Dermatology Student Club at KSU. Lamees has also earned second place at both the Prophetic Hadith and Quran memorization competitions. She also won the National Academic Excellence Award for seven consecutive years and the Sheikh Hamdan bin Rashid Award for Distinguished Academic Performance. 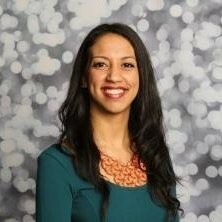 Lamia Alotaibi is pursuing a master’s degree in business entrepreneurship at the Prince Mohammad Bin Salman College. She holds a bachelor’s degree in law from Dar Al-Hekma University, where she graduated at the top of her class in 2016. During her undergraduate years, Lamia was selected to represent her university in the prestigious Willem Vis International Commercial Arbitration Moot in Vienna for three consecutive years. The team ranked first in the regional qualifiers on each of the three occasions. In her senior year, Lamia jumped at the chance to share her expertise and volunteer by coaching the new university delegation. In 2017, she established Legalshop with a mission to make legal services affordable and accessible to all. 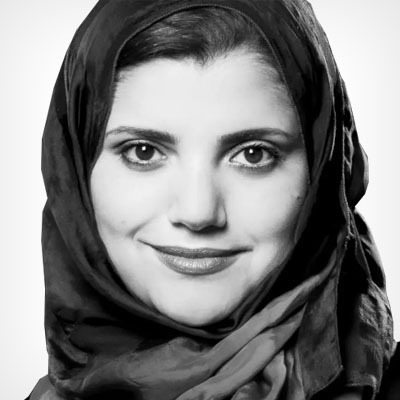 Lamia aspires to grow her startup and revolutionize the Saudi legal system. Malak Alajmi is pursuing a Bachelor of Science in Business Administration at Al Yamamah University. She is the recipient of a number of awards and distinctions – including first place at the Annual Entrepreneurship-Employment Debate Competition hosted at Dar Al Uloom University in 2016, one of the best 20 Students at the Math Olympiad Competition in Saudi Arabia – and a two-time winner of the Al-Kharj First Student Award given by the Ministry of Education. Malak founded her own start-up, Amanah Alghad, and launched an app to simplify student, parent, and teacher interactions during the school year. She also completed an internship in Aramco’s Financial Accounting Department in 2017. 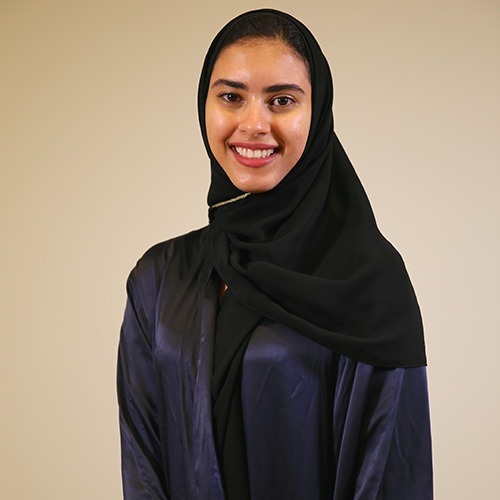 Malak is excited to continue her studies in accounting and finance; she recently competed in the Research Challenge at the CFA institute in Saudi Arabia and is currently preparing for her chartered accountancy exam. Maram Misha is pursuing a bachelor’s degree in medicine and surgery at King Abdulaziz University (KAU). 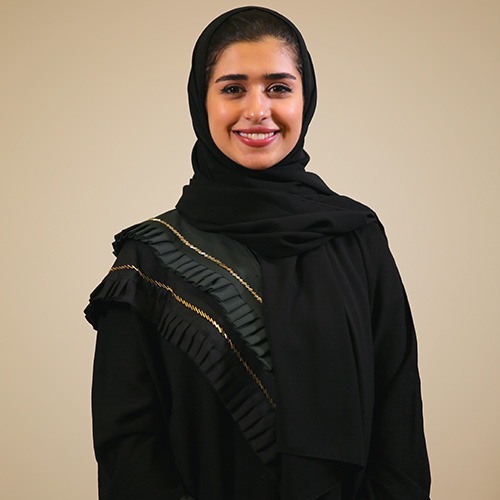 She is the recipient of the Ministry of Education’s Excellence Award for remarkable academic achievement and a participant in the Hamdan Bin Rashid Al Maktoum Award for Distinguished Academic performance. 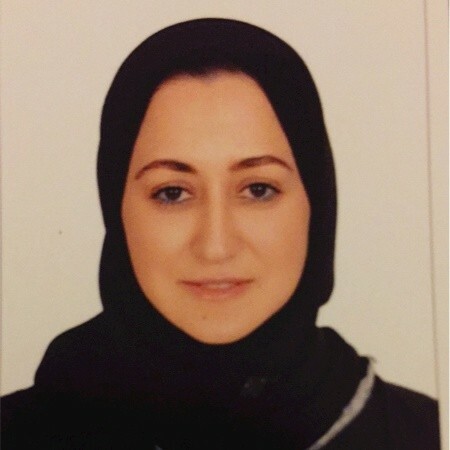 Maram currently sits on the science committee of her student cohort at KAU. In addition to actively contributing to breast cancer research at her university, she has participated in multiple awareness campaigns on antibiotics, autism, and congenital heart disease. Maram interned as a nurse at the Dr. Bakhsh Hospital in Jeddah and as an English teacher in the Jeddah Institute for Speech and Hearing. An accredited trainer in emotional intelligence skills, she has a diploma in the Art of Speeches, Presentation and Influence from the Canadian Training Center of Human Development. She cares deeply about wildlife conservation and promotes the protection of orphaned and endangered animals in Africa through the David Sheldrick Wildlife Trust. 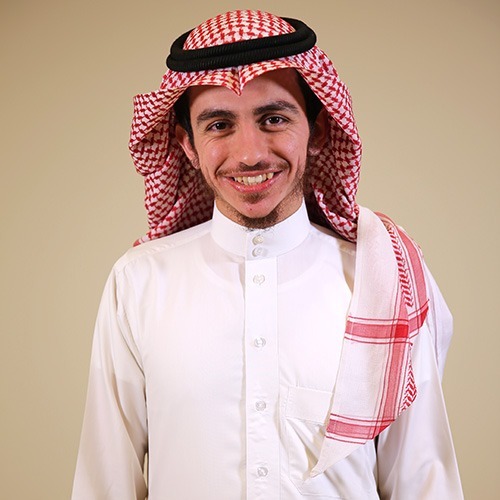 Mohammad Qara is studying Information Technology at King Abdulaziz University. 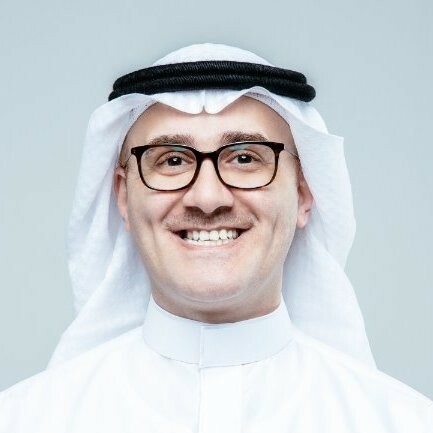 In 2016, he received the King Abdulaziz University Badge of Excellence Keen to build his leadership skills, he has participated in multiple workshops, including the “Yes, I Can” program in Malaysia and Wiley’s Leadership Challenge and Leadership Development program in Turkey. 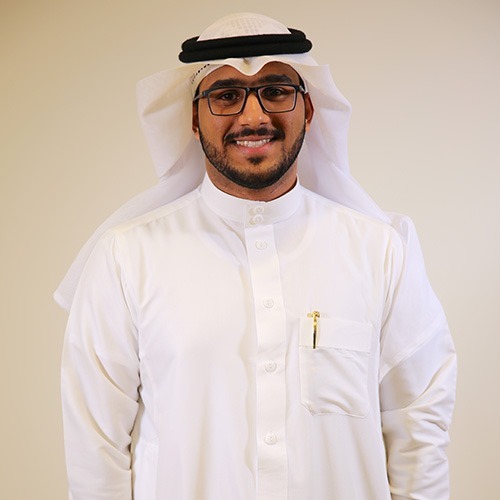 Passionate about the education of youth, Mohammad is a founding member of Ajyaal Jeddah, a student-led organization that instills a love of volunteerism in youth. 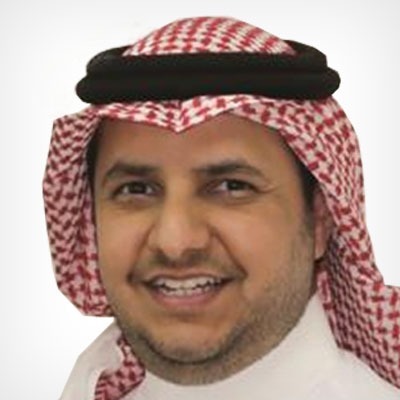 He has participated in over 25 community service initiatives with Ajyaal Jeddah over the years and currently serves as the group’s IT director. 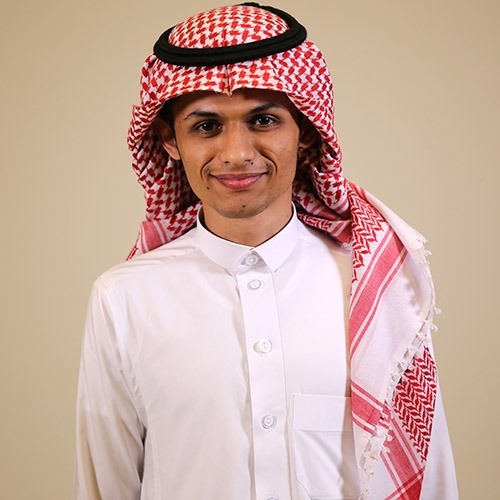 During his internship at the Pioneers of Leadership Training Center in the summer of 2016, Mohammad built and maintained the organization’s website and online educational platform and supervised trainings given by the group. A freelancer in web development and graphic design, he maintains two YouTube channels, where he regularly uploads educational content and which have garnered 1.1 million views. 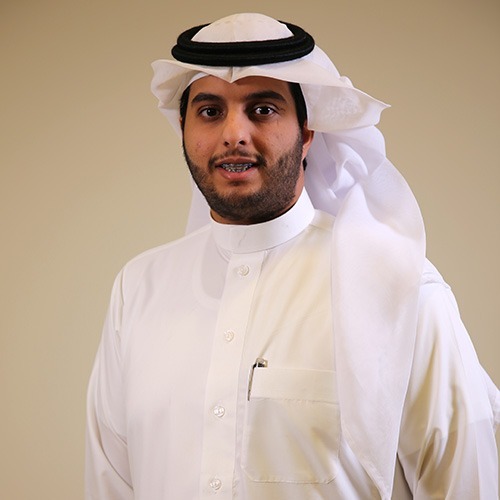 Mohammed Aldossary is a chemical engineering student at King Fahd University of Petroleum and Minerals (KFUPM). He has traveled around the world to study, conduct research, and volunteer. In addition to participating in a study-abroad program at the Colorado School of Mines, he traveled to Canada to conduct experiments on biomass off-gassing at the University of British Columbia. 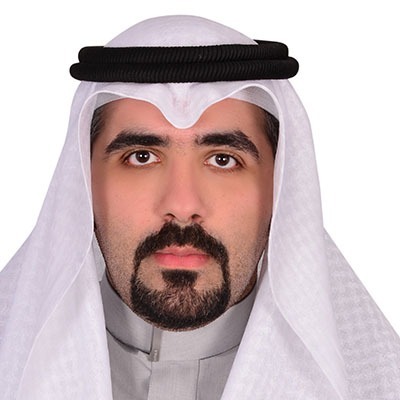 Currently, Mohammed is researching the by-product wastes from thermal power plants at KFUPM. 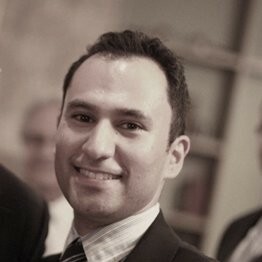 As a volunteer with International Volunteer HQ, Mohammed worked at an orphanage in Mexico. In addition to teaching English and mathematics, he coordinated activities to build fellowship among the young residents. Locally, he serves as a volunteer within the university and his community. 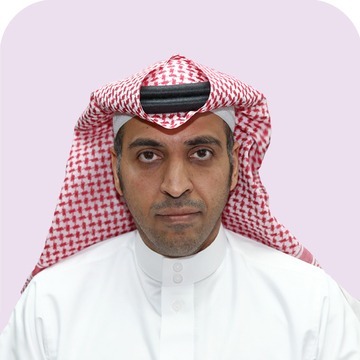 Committed to self-improvement, Mohammed has attended several trainings in business acumen. He is particularly proud of overcoming a severe stuttering problem that initially hindered him from partaking in many activities. 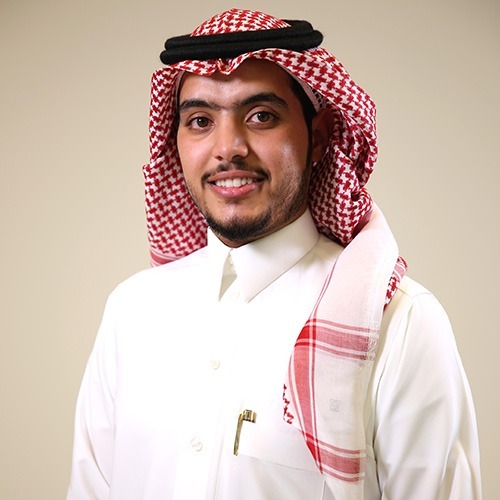 Mohammed Al-Howsa is a senior at King Fahd University of Petroleum and Minerals, where he is pursuing a bachelor’s in engineering. In addition to being a Certified Ethical Hacker, Mohammad is a first prize winner of both General Electric’s Predix Hackathon and NASA’s Hackathon in KSA. Mohammed’s entrepreneurial spirit is evident in the startups he has launched. Virtual Immersion, which he founded in 2014, uses the technology behind augmented reality to create technical training simulations for oil and gas workers. Additionally, Mohammed has established an entertainment startup and a media and production venture. An active member of the Saudi scouting movement, Mohammed has volunteered as a supervisor of summer training camps in Khobar. 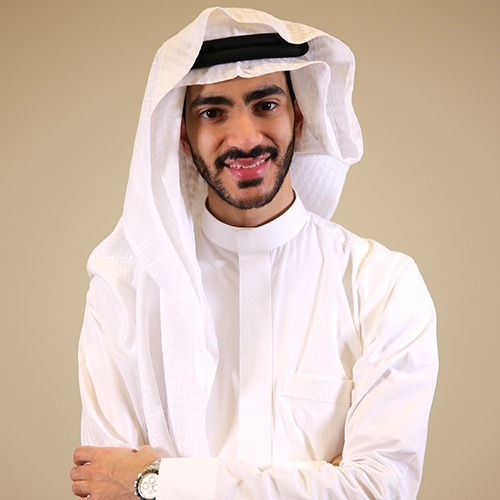 Mohammed Aljughayman is pursuing a bachelor’s in medicine and health sciences at King Faisal University. He serves on the Medical Students Council and the East Province Youth Council. The recipient of the Sheikh Hamdan Bin Rashid Al Maktoum’s Award for Distinguished Academic Performance, Mohammed has earned other awards, including: second place in Zain’s national essay contest on education, third place in Korea’s World Creativity Festival hosted by the Korea Advanced Institute of Science and Technology in Daejon, and Reader of the Year in 2013 in a Saudi Aramco competition. Mohammed is passionate about increasing the availability of knowledge in the Arabic language. 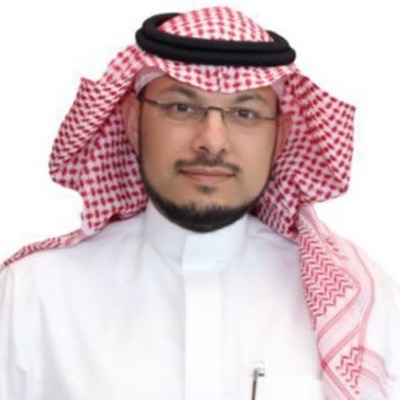 For two years, he has worked at Mentors KSA translating educational content into Arabic. 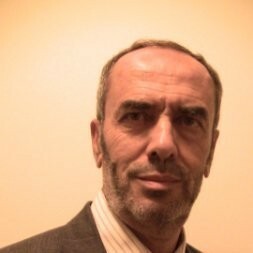 The author of a book about the world’s most recent technological advances in Arabic, he has also published several articles. 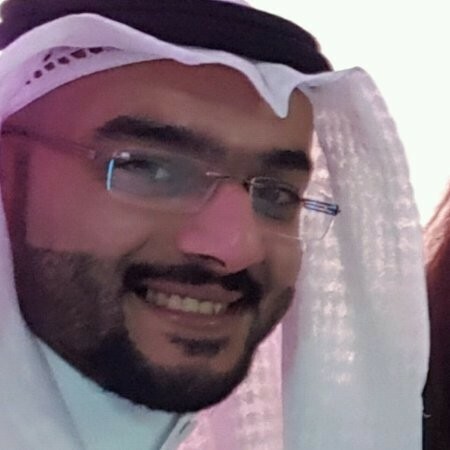 Mohammed Almugren is pursuing a master’s in electrical engineering at King Abdullah University of Science and Technology. 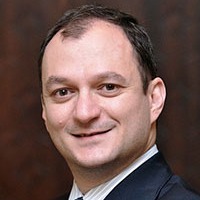 His research interests are in machine learning, artificial intelligence and computer vision. He holds a bachelor’s in electrical engineering, with a minor in entrepreneurship and innovation, from Pennsylvania State University. Passionate about entrepreneurship, Mohammed received first place at the Cornell Entrepreneurship Program at KAUST and second place at KAUST Super Steam Challenge, where he created an “Edutainment” app for students. During high school, Mohammed participated in numerous robotics competitions at the Riyadh Robotics Club, where he ranked among the top finalists for his inventions nationwide. 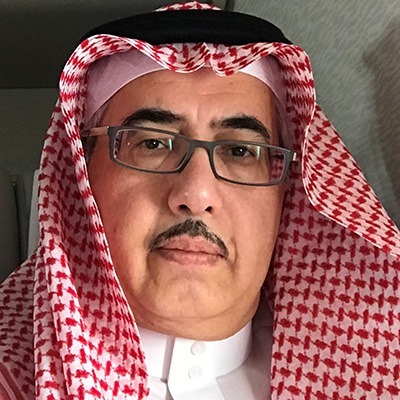 He was awarded the King Abdullah University of Science and Technology Gifted Students Program (KGSP) scholarship to cover his undergraduate and graduate studies. 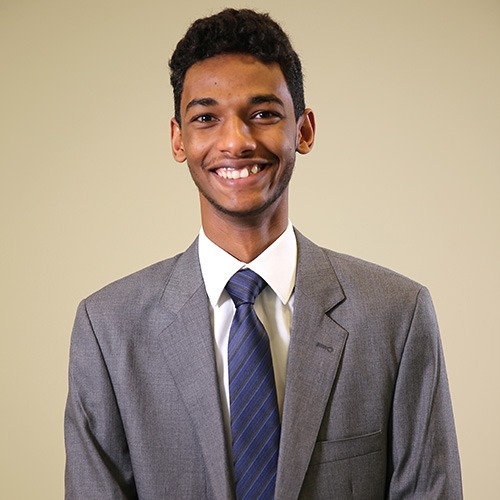 Mohammed completed an internship at Alcoa, where he oversaw the maintenance of electronic systems, and had a university research assistantship position, which focused on building an autonomous drone with aperture radar. Immediately after the Qimam program, Mohammed will begin an internship at Siemens in Germany. 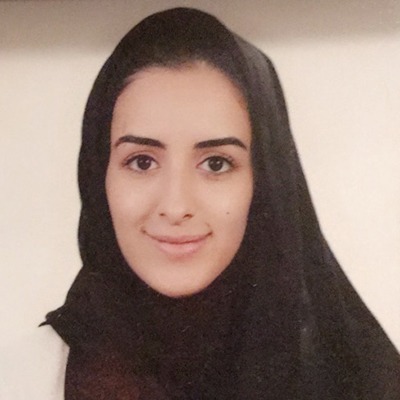 Mona Alshehri is completing her bachelor’s degree in medicine and surgery at King Saud bin Abdulaziz University for Health Sciences. 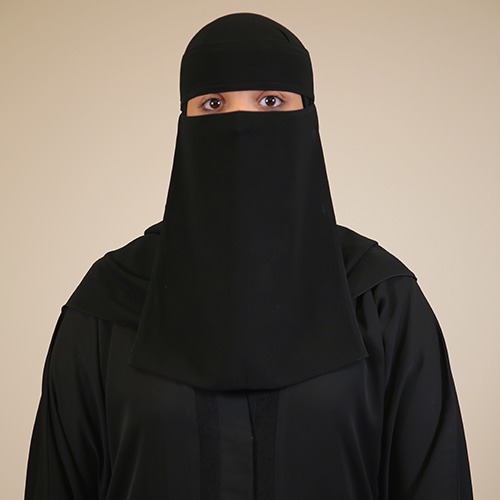 She has participated in several summer academic programs, including an Advanced Placement program in biology at John Hopkins University’s Center for Talented Youth and the Mawhiba Summer Enrichment Program. At Mawhiba, Mona was nominated for an international research program at KAUST. She continues to hold leadership roles at Mawhiba and Oxmedica, affiliates of Oxford and Cambridge Universities, as a teaching assistant and a residential advisor for summer programs. pursue an interdisciplinary career in business to expand the reach of medicine. 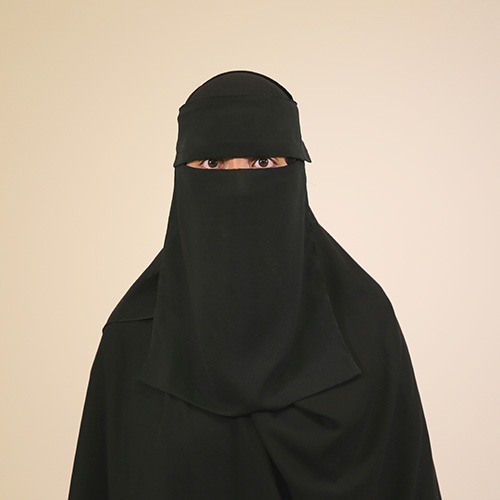 Nouf currently studies law on a merit-based scholarship at Dar Al-Hekma University. In addition to multiple scholarships, she has earned a number of awards – including, second place at the FIRST LEGO League competition, and the Silver Medal for her Smart Lock invention at the Student Competition in the Ebtikar Exposition. Nouf was honored for her paper, “Educating with Wisdom, not with Power,” which she presented at the fourth Forum of the Department of Foreign and National Education. Outside of school, Nouf represented Ghana in the Social and Economic Commission at the Model United Nations conference in Jeddah. She has also held different roles in sales, recruitment, and event management. She is excited to extend those employment experiences through the leadership training and site visits facilitated by the Qimam Fellowship. 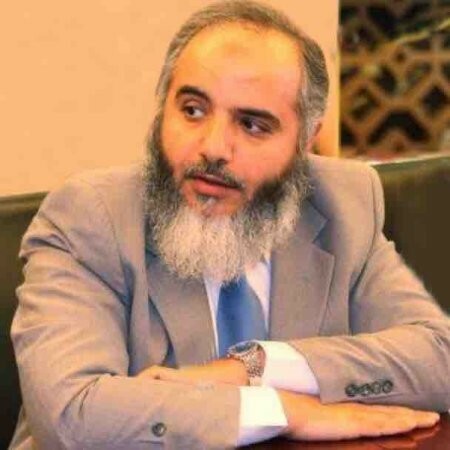 After completing his bachelor’s degree in Islamic Sharia at Al-Jouf University (AJU), Raed returned to pursue a master’s degree in principles of jurisprudence. The recipient of the Model Student award, he also earned second place in the Human Research stream at the Seventh Scientific Conference and first place in the Al Jouf University Quran Competition. 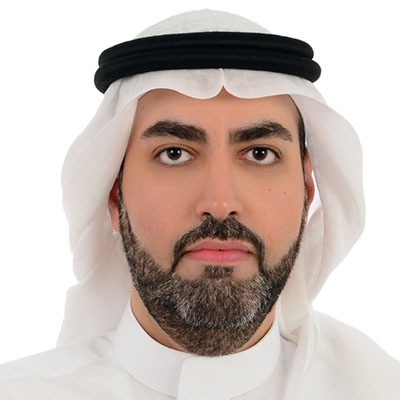 Raed has represented the university as a delegate at several international events – including the 13th Scientific Trip for Saudi university students to Japan, and the 4th Gulf University Forum in Bahrain. Raed has founded and is active in different clubs, including the Noor Club on campus, as well as a reading club off campus under the broader Al-Jouf Youth Council. He served as president of the Student Advisory Council at AJU for three years and was a speaker at the International Riyadh Book Fair. 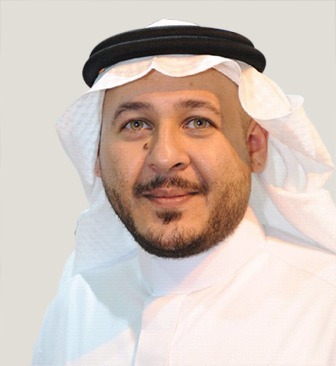 Raed has volunteered to serve the Hajj Pilgrims for four consecutive years and was selected to meet with the Governor of Makkah in recognition of his efforts. 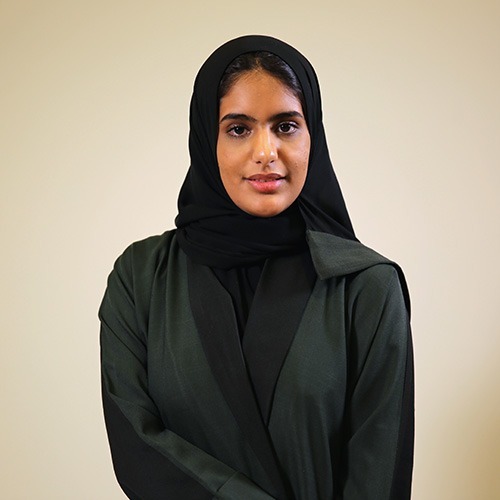 Raghad Al Harbi will be starting her Preparatory Year at University of Jeddah, as she recently transferred from King Saud Bin Abdulaziz University for Health Sciences, where she was studying medicine and where she has completed research on photovoltaic cells efficiency. She was awarded a scholarship from KAUST to research scientifically-engineered fire evacuation routes. Her passion for scientific research was ignited when she participated in the National Olympiad for Scientific Research and Creativity. An active member of her university, Raghad was selected to lead the Public Relations Committee of the 2nd Annual Olympiad. Raghad is equally active in the community. At Al-Nabta for Children, she organized the World Children’s Day initiatives. At Arshidni, she planned and led the “Be Native” campaign, which aimed to improve students’ proficiency with the English language. Raghad also participated in the Ministry of Health’s efforts to raise awareness about mental health. 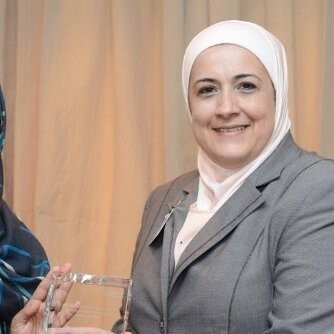 Her love of community service culminated in her founding of Ishraqat Amal, a group dedicated to promoting community service opportunities for young women. She also delivers motivational speeches, including one at TEDxRiyadh in 2017. 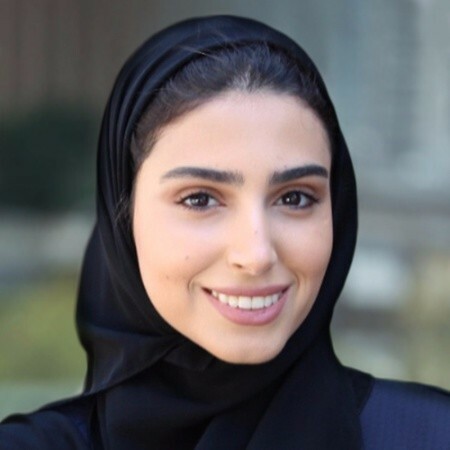 After a year at Alfaisal University, Raghad transferred to University College London (UCL), where she is completing her mechanical engineering studies on a merit-based scholarship and pursuing a second major in business finance. In high school, she was a Mawhiba student. 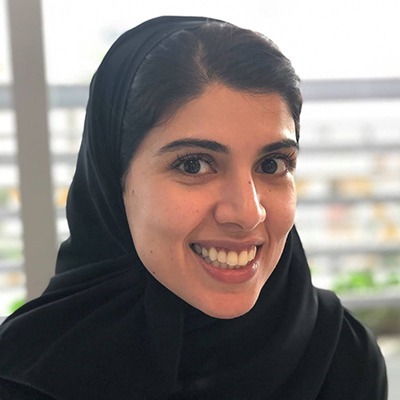 Raghad has held internships with the Saudi Research Science Institute at KAUST to research the molecular basis of plant stress and at the Harvard Kennedy School on an Evidence for Policy Design project to research ways to reduce unemployment. She served on the UCL Mechanical Engineering Society and participated in the Reach Cambridge Physics program at Cambridge University. Her commitment to society is evident in her involvement in an event that led 200 small business owners into market and her role in a blood drive for a local hospital. In addition, she has given a TEDx talk about independent decision-making and resisting outside influence. 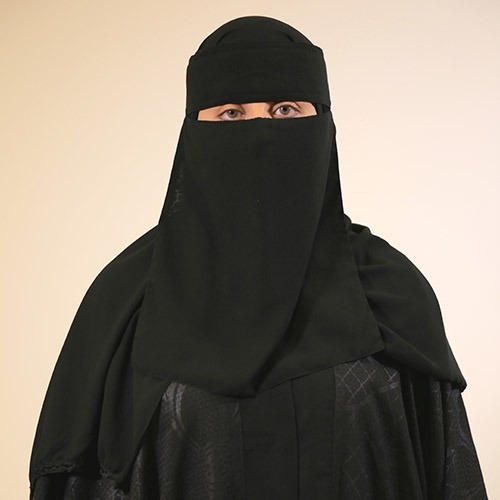 Raghad enjoys taking mixed martial arts classes in her free time. 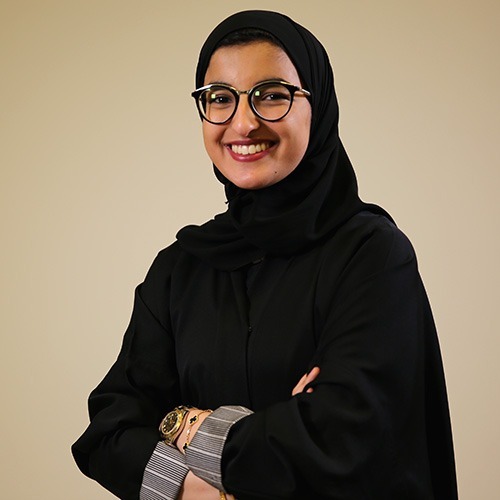 Raghad Nhari is a senior at King Abdulaziz University, where she is studying law, and recently received the university’s highest honor – the University Star Award. 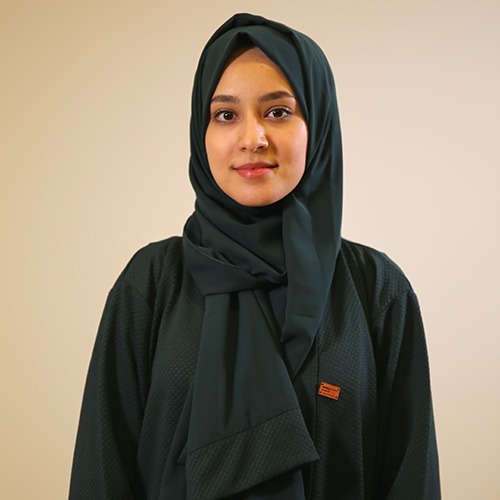 She currently serves on the Student Advisory Council at KAU, relaying the issues and concerns of the student body to the university’s administration. Raghad represented her university and the Kingdom at the World Youth Forum in Egypt. She engaged with top policymakers, influential figures, and other young leaders determined to be agents of change in their communities. Raghad was also selected to participate on behalf of KAU and the Kingdom in the second Cultural and Scientific Forum in Kuwait. She also participated in the Times Higher Education MENA Education Summit. Passionate about the power of thoughtful debate, Raghad founded the Debate Club at KAU in the hopes of increasing its popularity among her fellow students. She also prepared and delivered debate workshops at Hakaya Misk. Rawan Aljuhani is pursuing a bachelor’s in business and management, with a focus on marketing, at Dar Al-Hekma University. An avid public speaker and advocate for youth, Rawan volunteered at a radio station in Jeddah, where she wrote and spoke about topics related to youth rights. 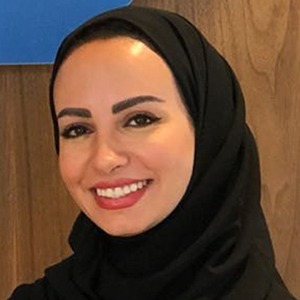 At the age of 12, she became the youngest Buzan Licensed Instructor in the world and was invited to conduct workshops on “Mind Mapping” to children and youth at several organizations in Jeddah. Recently, she was awarded first place at the Youth Leadership Community’s social initiative contest, for designing a product called a “Grow Map Kit”. Rawan’s proudest achievement is being the youngest speaker at the National Dialogue. At the age of 15, she spoke on freedom of the media and the impact of media on children to a crowd of thousands. Because of this experience, she was later nominated to deliver a speech on behalf of her generation to King Abdullah on the topic of children’s involvement in the Kingdom. 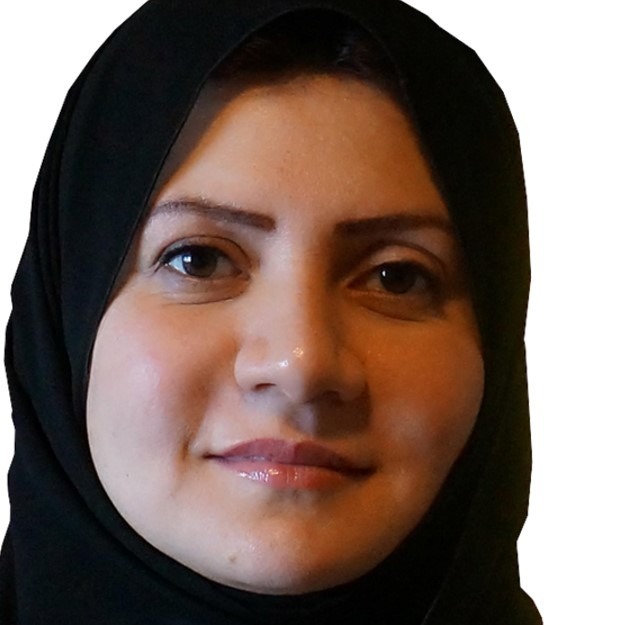 Reem Alzammami is studying early childhood development at King Faisal University (KFU). A strong believer in volunteerism, she has completed more than 1,500 volunteer hours over nine years with various programs and organizations. She obtained the International License of Volunteer Work and takes particular pride in her work orchestrating numerous relief campaigns to benefit low-income families. At university, Reem founded and led the Clubs’ Carnival to showcase the achievements of student organizations at KFU; the event attracted over 14,500 visitors in its first year and was covered in different media outlets. She also organizes debate competitions on campus to promote critical thinking and communication skills. Reem currently serves on her university’s student council and student budget committee and has been a leader of the Media Club, Tamkeen Club, and the Students’ Clubs in Students Affairs Faculty. She received the gold medal from Education Management as the Best Social Entrepreneur in Al-Ahsa. As first place winner in KFU’s Bariz Award for Student Exellence, she was awarded a 2017 Kia Optima, just one day before the royal decree allowing women to drive. 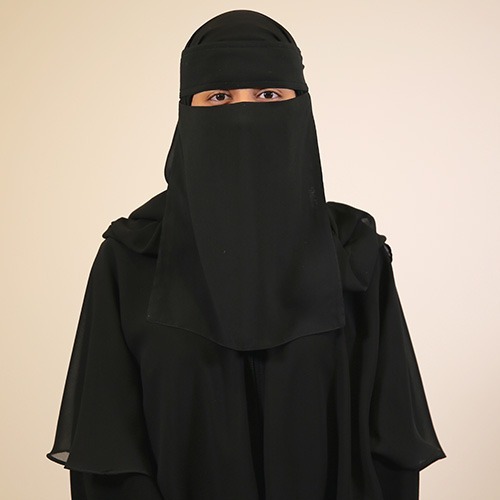 Sara Alqahtani is studying medicine and surgery at King Saud University. Dedicated to medical research, Sara has published her findings in international journals. At KSU, she is co-founder and former president of the Nanotechnology Club and has previously served as the deputy of the Students’ Rights committee of the College of Medicine Student Council. She is the current vice president of the Medical Student Council. Sara received scholarships from the King Abdulaziz and His Companions Foundation for Giftedness and Creativity to complete her high school education. Her work on solar cells earned her a spot as a regional finalist at Google’s Science Fair and a scholarship from KACST to attend a training at the Stanford National Nanofabrication Users Facility in the U.S. In addition, Sara earned a bronze medal from the International Exhibition of Inventions Geneva and first place in the eighth Scientific Symposium at KSU last year. Sara is the founder of two startups – SMOTION, a media and production venture, and Renewabler, an organization that promotes research in green technologies. 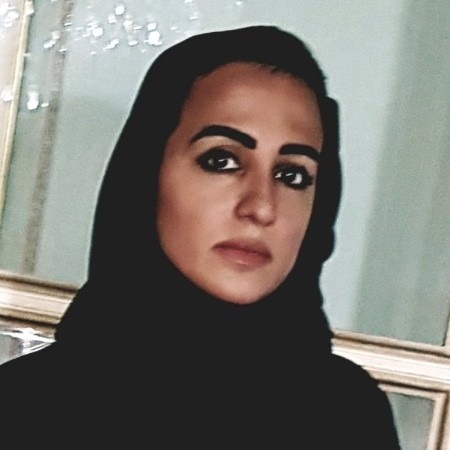 A recipient of the Dublin City University scholarship, Sarah is pursuing a bachelor’s degree in international finance at Princess Nora University. She has worked as an accountant conducting feasibility studies and reviewing financial statements. Sarah has merged her interest in the STEM subjects with her desire to move her community forward. She won third place in the Super STEAM Innovation Challenge at King Abdullah University of Science and Technology for creating a hologram device to help children with autism. She was honored by HH Princess Reema Al Saud for her report on sustainability, market research, and economic research for the General Sports Authority. Her recommendations have been implemented across the board at the government entity. In her free time, Sarah enjoys taking care of animals at the local shelter. Sarah Alsamin is a sophomore at King Faisal University majoring in biomedical engineering. Sarah is the recipient of the Mu Alpha Theta Award in mathematics and the ExxonMobil Award for Innovation for four different math formulas which she did extensive research. Following her fourth participation at the National Olympiad for Scientific Creativity, Sarah was invited to the Mawhiba-Oxmedica London Scholars Program where she engaged with leading academics and professionals through a series of themed talks and workshops. Sarah believes that the greatest joy lies in serving others. In 2014, she developed a smart walking stick to support blind and visually-impaired people. In 2016, Sarah and her team wrote a research proposal about transplanting stem cells to treat Alzheimer’s patients. During the spring of 2017, she served as a mentor to young girls who were participating in a local robotics competition. Shaden is studying computer science at University of Hail (UH). She is the recipient of a number of awards – including the Two Holy Mosques Prize honoring inventors and the gifted, two gold medals in the European Girls’ Mathematical Olympiad in Romania (2016) and Switzerland (2017), a gold medal in the Balkan Mathematical Olympiad 2016 and three bronze medal in the International Mathematical Olympiad in Thailand (2015), Hong Kong (2016), and Brazil (2017). She also earned a special prize from the American Mathematical Society presented at the Intel International Science and Engineering Fair for her research on the enhancement of RSA security using mathematics. She received first place in the National Olympiad for Scientific Creativity for the same project. 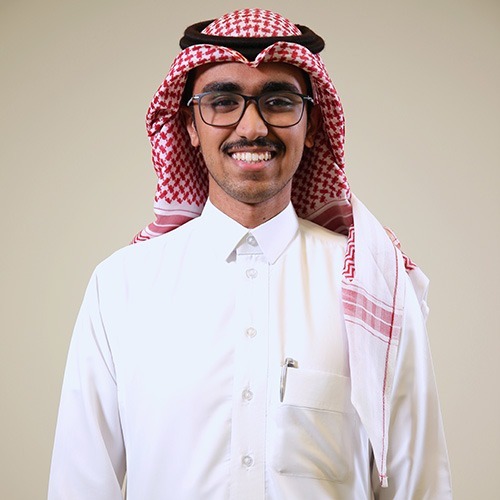 Equally committed to the achievement of others, Shaden works as a mathematical olympiad trainer to level-two students who participated in the Mawhiba program and KAUST International Science Competitions training and development program. She also served as a member of the UH Student Advisory Council. 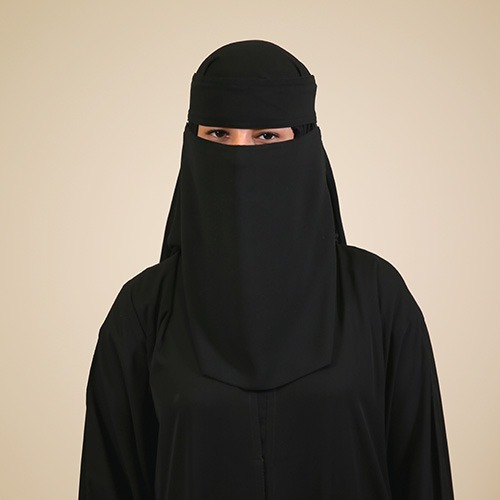 Shahad attends Majmaah University, where she is pursuing a bachelor’s degree in business management. 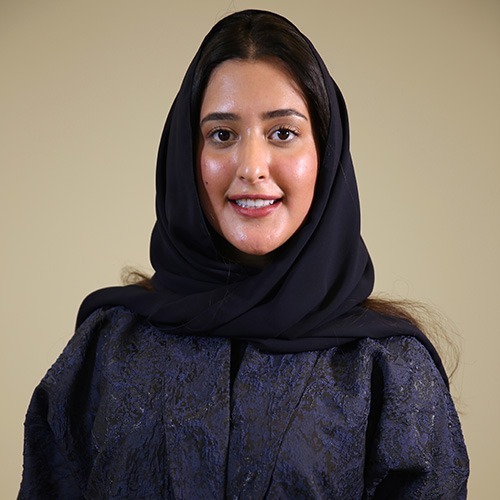 In recognition of her academic achievements, she has received several awards – including the Ministry of Education Award of Distinction, the Prince Khalid Al-Sudairi Award for Scientific Excellence, and 2nd place in the University Rector’s Award for Quality and Distinction. Shahad is an active force in her community. 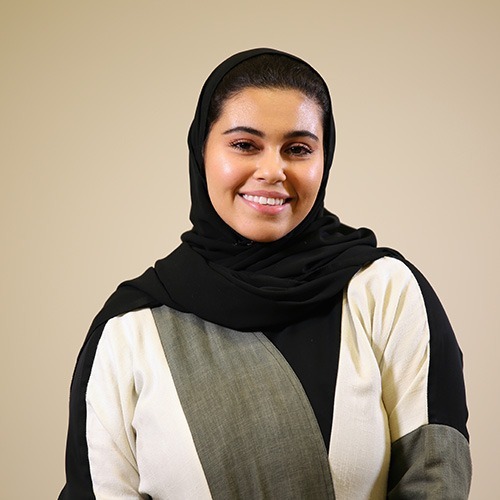 In addition to interning at the Al-Faisaliah Medical Systems Company, she has volunteered regionally with the Al Nahda Women Association in Riyadh, and locally with the Social Development Committee and the local book fair. She has also traveled to more than ten cities in the Kingdom to present workshops on 3D printing to children. Shahad’s efforts in the community have been recognized with the Prince Mohammed bin Fahd Award for Youth Leaders and the Maajmah University Award for Community Service. A participant in the “Patriotism is Giving” Competition, she was awarded first place across the Riyadh province. Shahla is pursuing a bachelor’s degree in actuarial mathematics and finance at King Saud University. In 2016, Shahla was awarded a scholarship from the Misk Foundation, which allowed her to take summer courses at Harvard University. At Harvard, she studied calculus and sustainable product design and innovation. 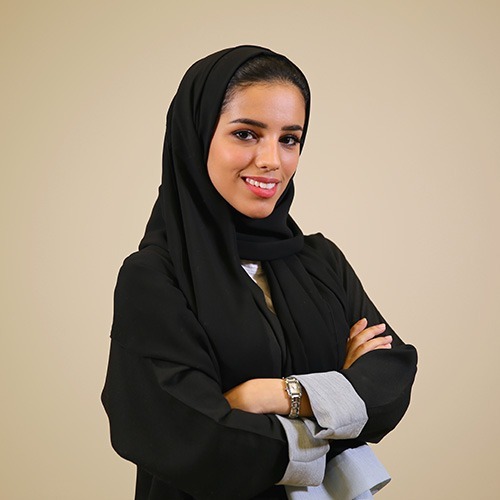 She is also the recipient of Sheikh Hamdan bin Rashid Award for Distinguished Academic Performance, a two-time gold medalist at the National Olympiad for Mathematics, first place finisher at the National Mental Mathematics Competition. In 2013, she finished third in the world at the competition in Hong Kong. 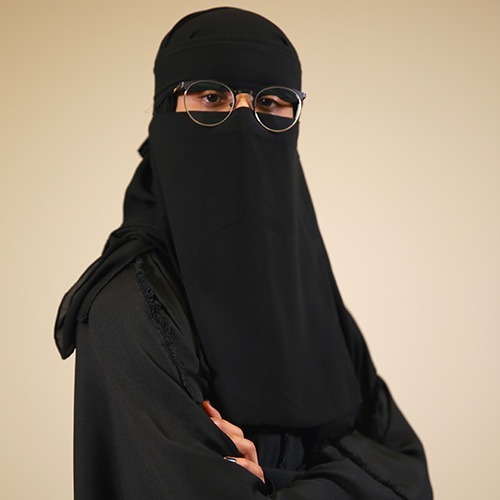 Shahla served as a student volunteer at the 2015 Saudi Science and Creativity Convention in Riyadh, where she assisted visitors in building robots and writing code. She attended the KAUST Startup Bootcamp training and is a freelance writer for Al-Watan Newspaper. 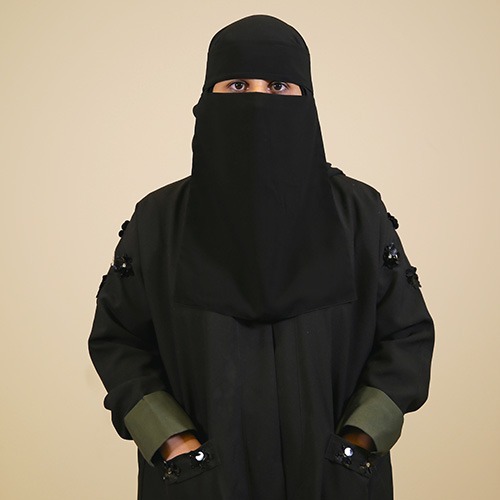 Shayhana Alkhushail is pursuing a bachelor’s degree in English at the University of Bisha. She represented the university at The Second Meeting of Universities’ Students with the Minister of Education in 2017. After completing a training program for teachers, Shayhana founded a social enterprise aimed at providing English tutoring lessons to young children. Her passion for teaching earned her third place nationally at the Tamayyaz Education Excellence Awards, an achievement she takes great pride in. Despite her academic background in literature, Shayhana has a vested interest in robotics and science competitions. She led a team to victory at the FIRST LEGO National Robotics Olympiad and Bioloid National Robotics Olympiad and earned first place in Bisha in 2014 and 2015). An active volunteer with the Ayyan group in Bisha, Shayhana has been involved in multiple initiatives to help underprivileged families. She also serves on the Charity Committee for Orphans Care and volunteers with the organization’s Arab Orphan Day initiative. Shaykhah is a student at Majmaah University (MU), where she is pursuing a triple major in education, linguistics, and English. A participant in numerous programs and competitions for gifted students, she has earned several awards – including first place in the University Rector’s Award of Quality and Excellence, the Ibrahim Abdul Mohsen AlSultan Award for Excellence and Scientific Creativity, and third place in the small business competition of the Shawarmer Initiative for Entrepreneurship. In addition, Shaykhah was nominated to participate in the First National Forum for Talented Female Students in the Kingdom. 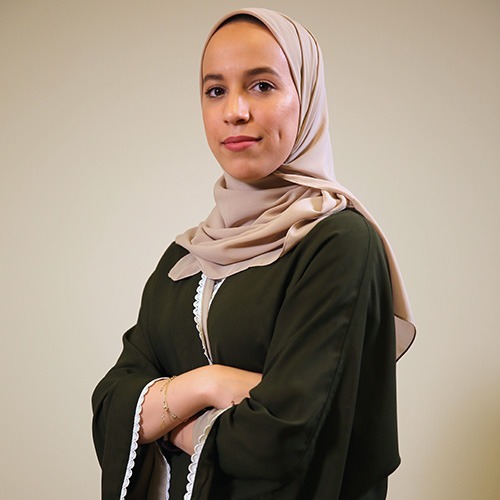 Passionate about community service, Shaykhah helped organize the first Scientific Research Forum for English Departments, volunteered to teach children about major scientific breakthroughs at the Okaz Scientific Market, and served as a member of the Student Advisory Council at MU. She has also delivered training workshops on English writing techniques. Beyond the classroom, she has participated in a variety of business, public speaking, and leadership trainings, and has founded her own startup, Bakies Cookies. 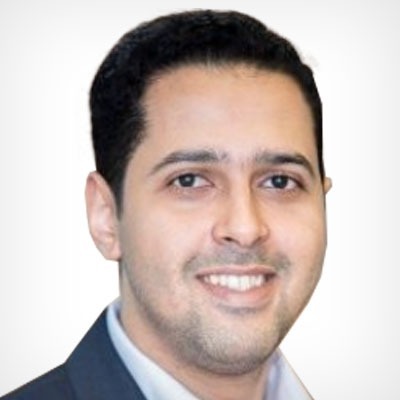 Sohaib Morya is a senior at King Abdulaziz University, where he is majoring in mechanical engineering. 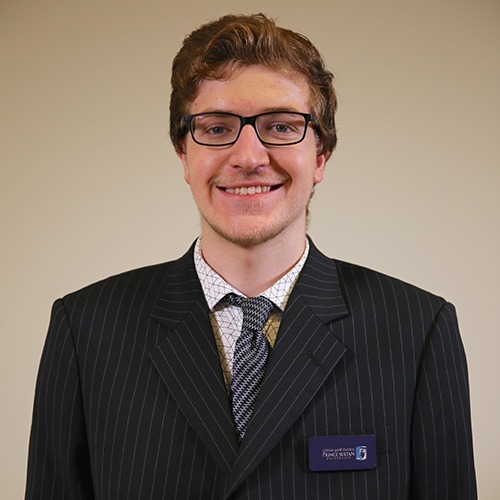 Active on campus, he leads the media committee at the university’s Center of Talent and Creativity and presides over the liaison committee of the Mechanical Engineering Society, where he works on student engagement. Additionally, he served as media team leader for the organization’s 2016 Engineering Day. In recognition of his extracurricular and academic efforts, he was recently named Star of Engineering Faculty. Sohaib is passionate about invention. 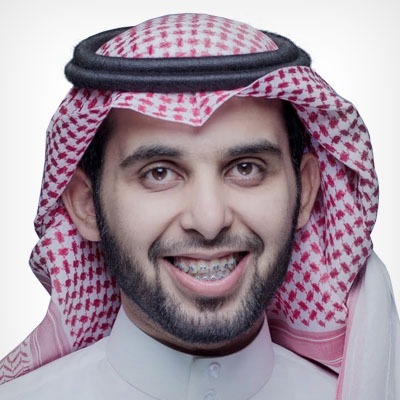 The recipient of the bronze medal at the 2017 International Exhibition of Inventions of Geneva, he has received a number of awards, including: an award from the Malaysian Association of Research Scientists for his invention at Geneva, the King Abdulaziz University Role Model medal, a gold medal in the “Ibtikari” competition, and special recognition from HRH Prince Khalid Al-Faisal the Governor of Makkah. He was also nominated by KAU president for the King Salman Prize for the Talented and the Inventors. 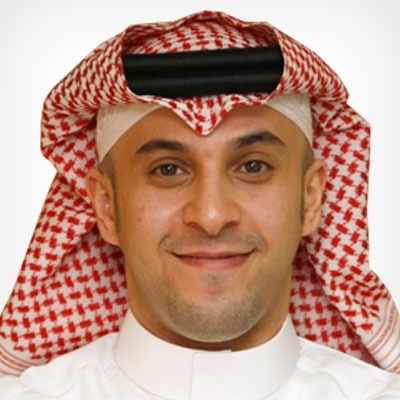 Soundouss is a Dean’s List, scholarship recipient studying architectural engineering at Alfaisal University. She received the Husameldin Al-Hariri Award for Academic Excellence. She has had several internships, including working as a field intern at the MIT & AlSudairy Cultural Center and as an architectural design intern at the Imar Urban Consultants firm. Soundouss loves to share her knowledge with young minds. 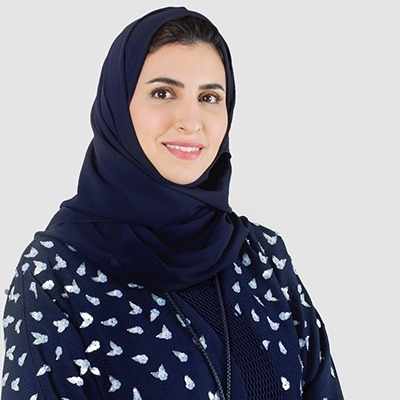 She has worked as an instructor at Engineering for Kids, a summer program designed to teach children about engineering, and at Saudi Coders, a workshop to teach children the basics of coding using Micro:bit. Her love of art and commitment to her own creativity is reflected in her graphic design work for the Engineering Student Association and Social & Development Committee. 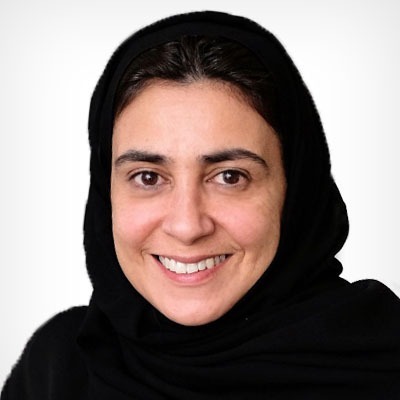 Soundouss helped organize the Dar Al-Uloom Initiative Architectural Conference and led the organization of the Royal Institute of British Architects Poster Exhibition – her proudest accomplishment. Suhayb is pursuing a bachelor’s degree in mechanical engineering at Northern Borders University. In his freshman year, he was honored for ranking first in his cohort. A believer in the power of knowledge and networks, Suhayb founded the Engineering Student Association at his university and created an unofficial NBU Students Twitter account to help disseminate information to all students. He has translated educational videos from English to Arabic and posted them to YouTube. 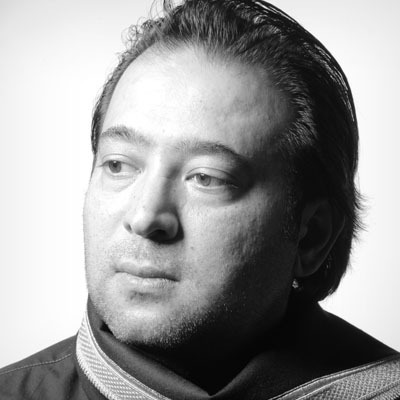 He has also written explanations of design and editing programs and published them online. A volunteer with “The Designers Meeting” organization, Suhayb completed a technical skills training for engineering students led by the Royal Commission for Jubail and Yanbu (RCJY). He participated in the Schneider Electric Global Case Challenge “Go Green in the City 2018.” Particularly interested in public relations, Suhayb worked at Enab Media before launching a startup, Katateeb. He currently serves as its CEO. He is keen to use his learnings as a Qimam Fellow to publicize and advance social causes. 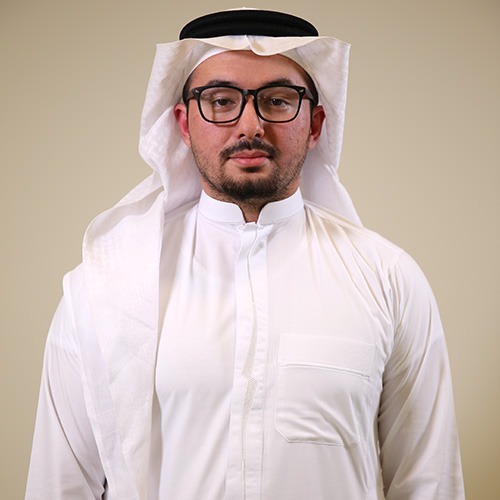 As a scholarship student in biomedical sciences at Alfaisal University (AU), Sumeau has researched perovskite solar cells in the nanotechnology department at King Abdulaziz City for Science and Technology. A member of the Science Student Association at AU, she also serves as an academic tutor in various science courses. Sumeau is deeply committed to social justice causes. 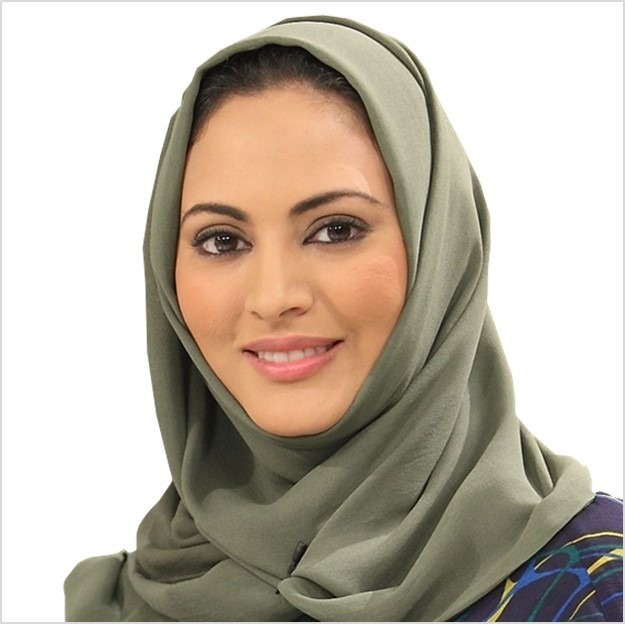 She has participated in King Saud’s Amaan Youth program to help children dealing with child abuse and volunteered with the Sawa’ed Atheeb organization to fundraise for the visually-impaired and the impoverished. Her startup, SAGA, hosts hair-donation drives to educate people about cancer and donate human hair wigs to cancer survivors. Her first campaign received 80 donations, but now surpasses 700 donations per event. In her free time, Sumeau enjoys writing, filmmaking, and playing tennis. 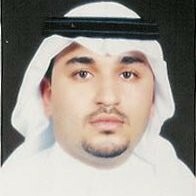 Waleed is studying clinical laboratory science at King Saud University. 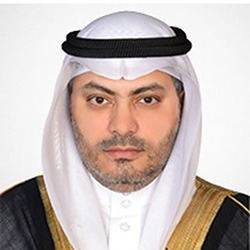 He has conducted more than six scientific research projects at different international universities and institutes, including the Nanotechnology Center at King Abdulaziz University, King Faisal Specialist Hospital and Research Center, and KACST. 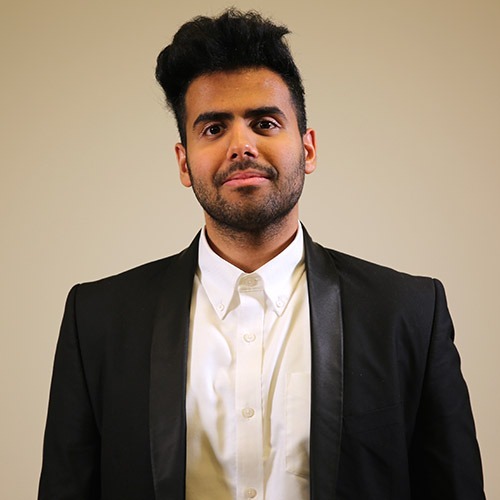 Waleed’s work includes researching cancer and genes and innovating new methods to optimize the medical and chemical properties of nanoparticles. 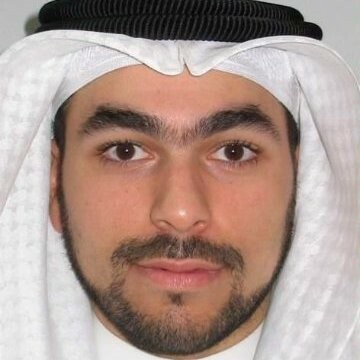 His efforts have earned him various recognitions and awards – including the SABIC Prize for Chemistry and Research in Skin Cancer, second place in the Intel International Science and Engineering Fair, Best Researcher for Ccientific Distinction at the Saudi Festival of Science and Innovation, and top student for scientific excellence across the Madinah region. Waleed has volunteered for different causes, including promoting health, fitness, and well-being, and organizing and delivering workshops. 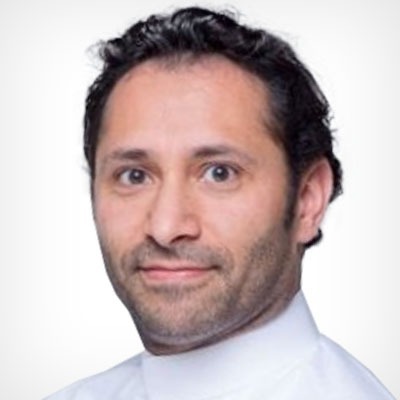 Waleed worked at Oxford University with Mawhiba to deliver training to students during their time in the Oxmedica program. 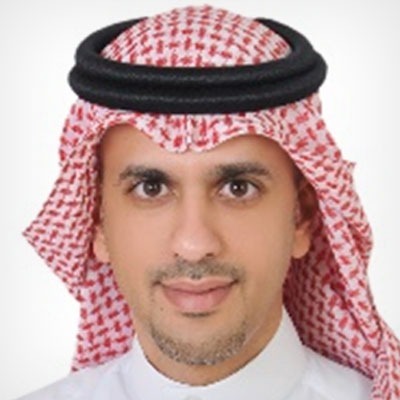 A member of the Saudi Association of Public Health, he has attended over 150 hours of leadership trainings from Wiley, King Salman Institute for Business Leadership, and Benaa Group. Al Khaleejiah was established in 1990 by Saudi Research and Marketing Group. Its head office is based in Riyadh, with branch offices in Jeddah, Dhahran, London, Paris, and Dubai. Furthermore, Al Khaleejiah has established a worldwide network of representatives. 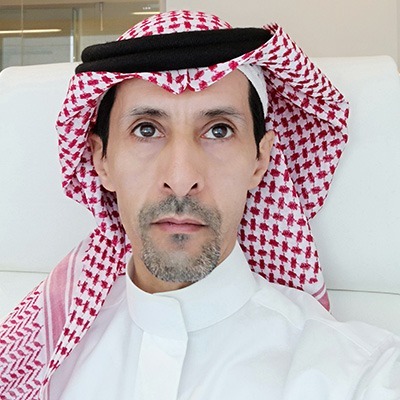 In promoting the portfolio of Saudi Research and Publishing Company publications, Al Khaleejiah constantly supports and publishes details of media research and distribution obtained by bona-fide independent companies. Al Khaleejiah's media is measurable in terms of quality, reach and, more importantly, value for money. تأسست الشركة الخليجية للإعلان والعلاقات العامة في العام 1990 كشركة تابعة للمجموعة السعودية للأبحاث والتسويق، ويقع مركزها الرئيسي في الرياض ولديها مكاتب في كل من جدة والظهران ولندن وباريس ودبي، كما أنشأت الخليجية شبكة من الممثلين في كافة أنحاء العالم. 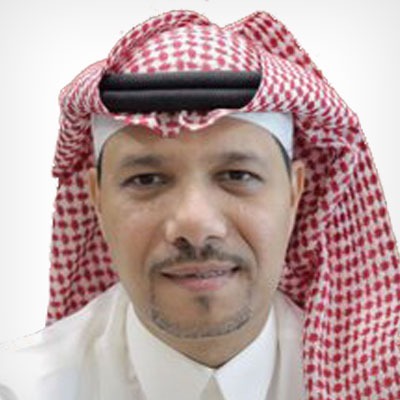 وللترويج لمجموعة مطبوعات الشركة السعودية للأبحاث والنشر، تقدم الخليجية الدعم المستمر وتنشر تفاصيل الأبحاث الإعلامية المستقاة من شركات متخصصة ومستقلة. Al Tayyar has come a long way in 35 years, with humble beginnings in a small office with four employees, to one of the biggest companies in Saudi Arabia and expanding globally as we speak. 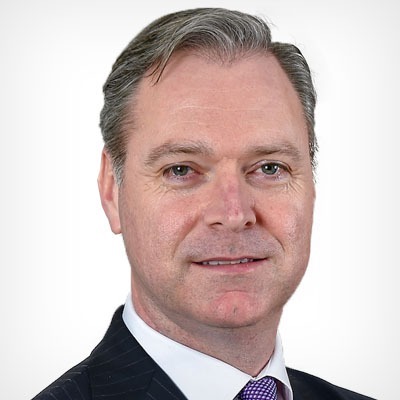 We have spent the last three decades growing from strength to strength; transforming a single reservation office to a travel, transport and tourism giant. Today, we are talking to a different audience than we were three decades ago. Travel is now accessible to everyone - baby boomers, globetrotters and experience seekers. With the advent of the Internet, the world is literally at the fingertips of this new generation traveler. رؤيتنا الريادة في صناعة السياحة والسفر محلياً وإقليمياً وعالمياً، وتوسيع شبكة انتشارنا من خلال العديد من الاستحواذات المحلية والعالمية في هذا القطاع. 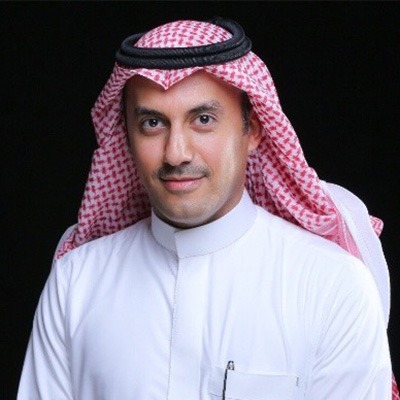 كما نسعى أيضاً إلى توفير حزمة متكاملة من منتجات السفر والسياحة في مكان واحد، من خلال عقد الاتفاقات والشراكات العالمية والمحلية التي تعزز أداءنا المتميز والقوي على صعيدي: جودة الخدمات، وتنافسية الأسعار لعملائنا في كل مكان. فيما تولي الشركة اهتماماً خاصاً برؤيتها إلى تعزيز مفهوم السعودة، وتوفير الوظائف لشباب وشابات الوطن، والإسهام في تنمية ونهضة الوطن وازدهاره. مهمتنا مهمتنا هي تطوير خدماتنا ومنتجاتنا، من خلال توظيف الكوادر البشرية المحترفة، وابتكار أفضل الحلول التقنية لتلبية تطلعات عملائنا وتحقيق رضاهم، لنصبح مثالاً يحتذى به في التميز والكفاءة. كما نتطلع إلى التوسع في أنشطتنا المحلية والعالمية، والعمل على الاستثمار في الفرص الواعدة لتنمية استثمارات المساهمين، وتحقيق أفضل العوائد الاقتصادية لهم. ولدينا اهتمام خاص في تطوير مختلف الخدمات والمنتجات التي تلائم العملاء من ذوي الاحتياجات الخاصة، ودمجهم في هذا القطاع. 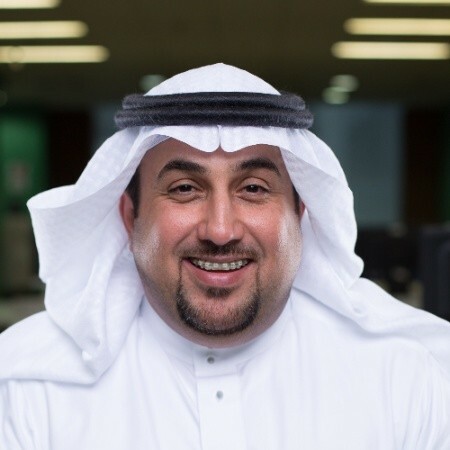 Careem is the region’s leading ride-hailing service that provides reliable, safe and affordable transportation choices via a mobile app, on the web, and through a call center. Careem is a pioneer in the region’s ‘sharing economy’ – its mission is to make people’s lives simpler, create millions of jobs, and to BeCareem – to be kind, generous, and inspiring as we move the region towards better living. Established in July 2012, Careem operates in more than 80 cities across 13 countries in the broader Middle East, including North Africa, Turkey, and Pakistan. For more information, visit www.careem.com. كريم هي شركة رائدة في مجال حجز السيّارات عبر التطبيقات الذكيّة في المنطقة، والتي حوّلت خدمة حجز سيّارة مع كابتن إلى تجربة آمنة وسهلة يمكن الوثوق بها وبتكلفة منخفضة. 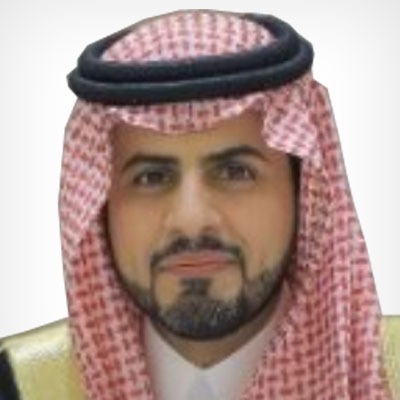 يمكن للعملاء حجز سياراتهم عبر تطبيق كريم مباشرة، أو من خلال الموقع الإلكتروني، أو عن طريق الاتصال المباشر بمركز خدمة العملاء. وتُعد كريم شركة رائدة في “الاقتصاد التشاركي” في المنطقة، وتهدف إلى تسهيل حياة الناس في مجال النقل والخدمات اللوجستيّة في المنطقة. تأسست “كريم” في يوليو 2012، وتقدم خدماتها اليوم في 12 دولة في منطقة الشرق الأوسط وشمال إفريقيا وتركيا وباكستان. لمزيد من المعلومات، يُرجى زيارة الموقع الإلكتروني www.careem.com، أو تحميل تطبيق كريم من أندرويد ومتجر آبل. Cisco is the worldwide technology leader that has been making the Internet work since 1984. Our people, products, and partners help society securely connect and seize tomorrow's digital opportunity today. Discover more at newsroom.cisco.com and follow us on Twitter at @Cisco. Bab Rizq Jameel, which is part of Community Jameel, provides job opportunities for men and women across Saudi Arabia. To date it has helped create more than 800,000 job opportunities since it was established in 2003. 1. 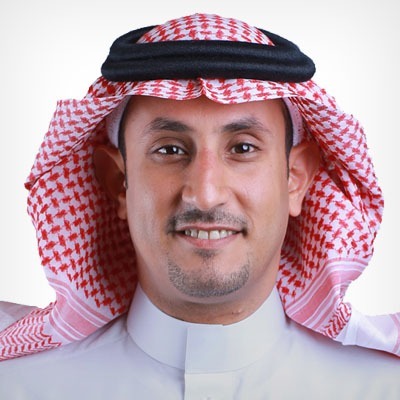 Bab Rizq Jameel Recruitment: Considered as one of the largest employment companies in the country, Bab Rizq Jameel Recruitment has provided approximately 290,000 job opportunities for Saudi Arabian men and women in more than 110 cities. It specializes in recruitment programmes, stadium jobs, and vehicle job opportunities. Working from Home Finance: Provides funding for home-based entrepreneurs, and for those who have an idea for an executable project. Murabaha Finance: Supports small-scale projects using the Murabaha system, financing equipment and goods and processing projects for beneficiaries. 1. شركة باب رزق جميل للتوظيف: وتعد أحد أكبر شركات توظيف الكوادر الوطنية في سوق العمل السعودي، وتختص في المساعدة على تقديم خيارات متعددة وبرامج مختلفة في التوظيف للحصول على الوظيفة الملائمة والنهوض بتوطين سوق العمل من خلال برامج التوظيف، وبرامج فرص عمل الملاعب، وبرامج توجيه المركبات. تمكنت باب رزق جميل للتوظيف منذ تـأسيسها من توفير قرابة 290,000 فرصة عمل للشباب السعودي من الذكور والإناث و نجحت في خدمة الشركات في أكثر من 110 مدينة في السعودية. برنامج تمويل الأسر المنتجة: وهو برنامج تمويل جماعي ويسعى إلى استثمار وتوظيف قدرات أفراد الأسر من السيدات لتحسين مستواهن المعيشي. برنامج التمويل المنزلي: وهو برنامج لتقديم التمويل المالي لأصحاب المشاريع المنزلية وهو بذلك يقدم الدعم لكل من لديه فكرة مشروع قابل للتنفيذ من المنزل. - برنامج التمويل بالمرابحة: وهو برنامج لدعم أصحاب المشاريع الصغيرة بنظام المرابحة وذلك من خلال تمويل المعدات والبضائع وتجهيز المشاريع للمستفيدين. وتمكنت باب رزق جميل للتمويل متناهي الصغر منذ تـأسيسها من توفير قرابة 300,000 فرصة عمل للشباب السعودي من الذكور والإناث من خلال برامجها المختلفة. 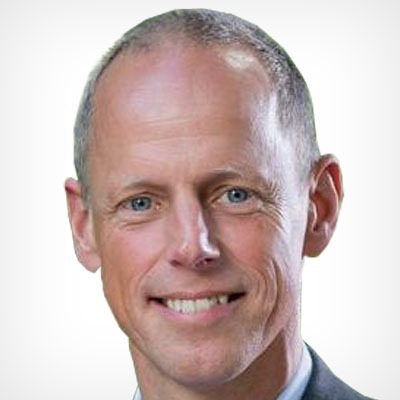 General Electric is the world’s Digital Industrial Company, transforming industry with software-defined machines and solutions that are connected, responsive and predictive. GE is organized around a global exchange of knowledge, the GE Store, through which each business shares and accesses the same technology, markets, structure and intellect. Each invention further fuels innovation and application across our industrial sectors. With people, services, technology and scale, GE delivers better outcomes for customers by speaking the language of industry. www.ge.com. تعمل جنرال إلكتريك - الشركة العالمية المدرجة ضمن بورصة نيويورك تحت الرمز (GE) والمتخصصة بالحلول الرقمية الصناعية - على تطوير القطاع الصناعي عبر تزويده بالآلات والحلول المرتكزة على البرمجيات والتي تمتاز بالترابط وسرعة الاستجابة والقدرة الاستباقية العالية. وقد أسست جنرال إلكتريك منصة GE Store بهدف تبادل المعلومات عالمياً، حيث تتيح لجميع الشركات إمكانية الوصول ومشاركة نفس التكنولوجيا والأسواق والهيكليات والأفكار. 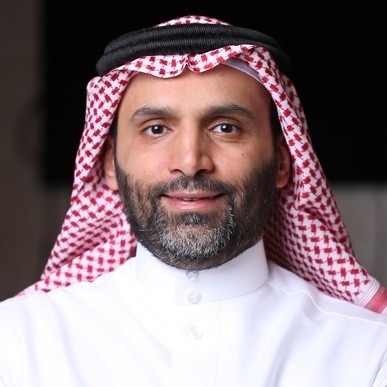 ويمكن لكل ابتكار جديد أن يحفز ويشجع على إطلاق مزيد من الابتكارات والتطبيقات ضمن القطاعات الصناعية المختلفة. وبفضل موظفيها المتمرسين وخدماتها وتقنياتها ومستويات التقدم لديها، تواصل جنرال إلكتريك إتاحة الفرصة أمام عملائها لتحقيق أفضل النتائج من خلال مواكبة آخر التطورات في القطاع الصناعي. www.ge.com. Ma’aden is among the world’s top 10 mining companies and one of the fastest growing companies globally. Ma’aden has also made historic advances since its establishment. From operating one small gold mine, Ma’aden now operates multiple facilities in Ras Al-Khair and Wa’ad Al-Shamal Industrial Cities across integrated value chains in aluminium and phosphate in addition to gold, copper and industrial minerals. Ma’aden operates six gold mines, in addition to Jabal Sayid, the largest copper mine in Saudi Arabia and develops new mines in the Central Arabian Shield Gold Region, via its affiliate Ma’aden Gold and Base Metals Company. 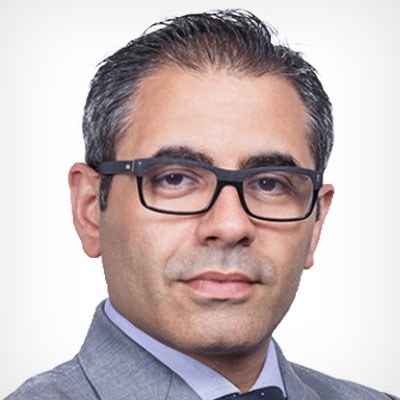 تعد معادن من أكبر 10 شركات تعدين في العالم وأسرعها نمواً، وحققت منذ تأسيسها وحتى الآن قفزات تاريخية عملاقة، فبعد أن كانت تشغل منجماً وحيداً للذهب، أضافت إلى نشاطها مجمعين صناعيين متكاملين للفوسفات ومجمع للألمنيوم هو الأكثر تكاملاً على مستوى العالم في مدينتي رأس الخير ووعد الشمال الصناعيتين اللتان كان لمعادن شرف المبادرة في تأسيسهما. تُشغل معادن حالياً 6 مناجم للذهب في المملكة العربية السعودية، ومنجم جبل صايد - أكبر منجم للنحاس في المملكة، فيما تقوم بتطوير مناطق جديدة للذهب في المنطقة المركزية للذهب وسط الدرع العربي، من خلال شركتها التابعة معادن للذهب ومعادن الأساس، بجانب العديد من مناجم الفوسفات والبوكسايت والمعادن الصناعية. McKinsey & Company is a global management consulting firm, deeply committed to helping institutions in the private, public and social sectors achieve lasting success. For over eight decades, our primary objective has been to serve as our clients’ most trusted external advisor. With consultants in more than 100 offices in 60 countries, across industries and functions, we bring unparalleled expertise to clients anywhere in the world. We work closely with teams at all levels of an organization to shape winning strategies, mobilize for change, build capabilities and drive successful execution. 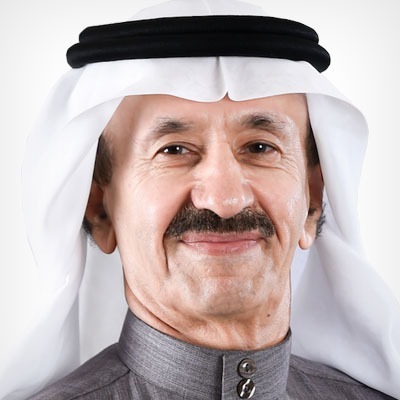 ماكنزي آند كومباني هي شركة استشارات إدارية عالمية تقدم خدماتها لكبرى قطاعات الأعمال والحكومات والمنظمات غير الحكومية والمنظمات غير الربحية. 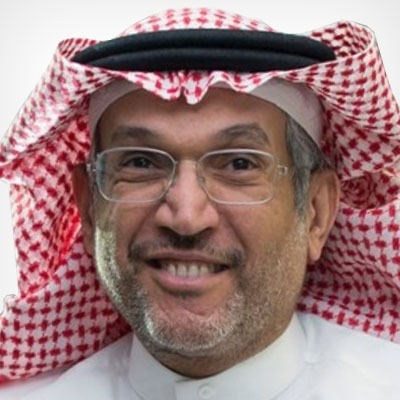 تسعى الشركة إلى مساعدة هذه المؤسسات لتحقيق نجاح يدوم طويلاً، وتعتمد في تنفيذ هذه الجهود على خبراتها الواسعة التي رسختها على مدى قرن تقريباً والقدرات الفريدة التي تتمتع بها كشركة رائدة في هذا المجال. إذ تطمح الشركة منذ تأسيسها قبل ما يزيد عن ثمانية عقود لأن تكون مستشاراً خارجياً لعملائها تحظى بثقتهم الكاملة. تضم الشركة مستشارين يعملون في أكثر من 100 مكتب موزعة في 60 دولةً ويقدمون استشارات في مختلف قطاعات الأعمال والوظائف لرفد عملائنا المنتشرين في جميع أنحاء العالم بخبرةٍ لا مثيل لها. 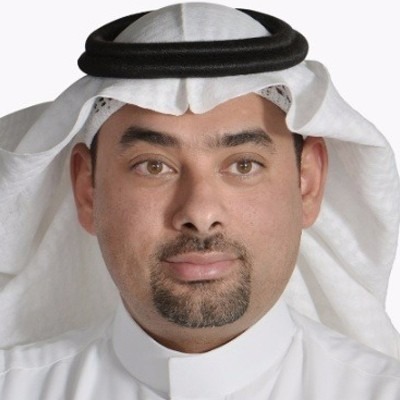 نحن نعمل يداً بيد مع جميع الفرق العاملة في المؤسسات على اختلاف مستوياتها لوضع استراتيجيات ناجحة وإحداث التغيير وتعزيز القدرات لمساعدتهم في الوصول إلى أعلى درجات النجاح. 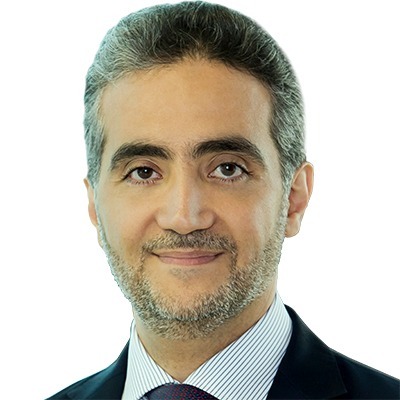 Oqal – a not-for-profit organization – was established in 2011 as the first angel investor community in Saudi Arabia. 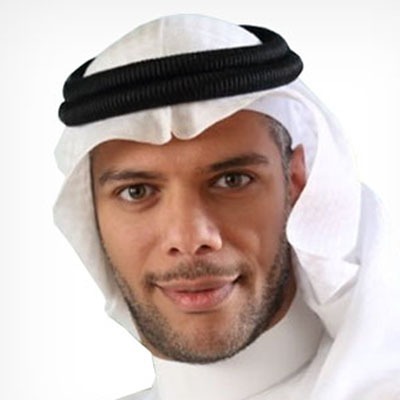 Oqal is comprised of a group of businessmen for the purpose of connecting entrepreneurs with local investors willing to invest in the startup scene, and in turn providing opportunities of benefit for the economy and the community at large as well as growth of the SME sector in the region. These connections will be formulated and facilitated via organized meetings where new investment opportunities will be discussed. Additionally, investors with specific expertise will offer guidance in different knowledge areas to aspiring entrepreneurs and will invest in promising ventures. 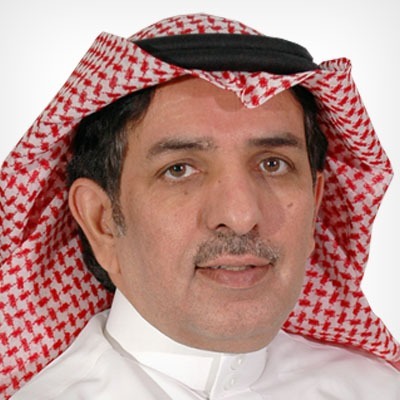 عقول وأموال مجموعة غير هادفة للربح، تأسست مجموعة عقال في عام2011 م كأول مجموعة للمستثمرين األفراد (Investors Angel) في المملكة العربية السعودية . تكونت المجموعة من قبل مجموعة من شباب األعمال للربط بين الشباب ذوي الفرص االستثمارية مع الشباب ذوي األموال والخبرات بهدف تكوين فرص ذات فائدة لالقتصاد والمجتمع .وتقوم بهذا الربط من خالل لقاءات دورية يتم فيها التعارف، وعرض فرص استثمارية جديدة، واالستفادة من تجارب أهل الخبرة في تطوير هذه الفرص، واالستثمار في المشاريع الواعدة منها وذات الفائدة لالقتصاد والمجتمع. We’re the world’s learning company, with expertise in educational courseware and assessment, and a range of teaching and learning services powered by technology. Our products and services are used by millions of teachers and learners around the world every day. Our mission is to help people make progress in their lives through learning — because we believe that learning opens up opportunities, creating fulfilling careers and better lives. Our 35,000 employees across 70 countries worldwide share a simple set of values. In everything we do, we aspire to be brave, imaginative, decent, and accountable. نحن شركةنحن شركة التعليم الرائدة في العالم، متخصصون في المناهج التعليمية والتقييم، بالاضافة الى نطاق واسع من الخدمات التدريسية والتعليمية المدارة تكنولوجياً يستخدم ملايين من المدرسين والدارسين منتجاتنا وخداماتنا عبر العالم كل يوم. مهمتنا هي مساعدة الناس في التقدم والتطور في حياتهم من خلال التعليم، لأننا متأكدون أن التعليم يفتح المجال للفرص ويخلق مهن مرضية و يهيئ معيشة أفضل. يتشارك موظفونا، البالغ عددهم ٣٥٠٠٠ والمتواجدون في ٧٠ دولة في العالم، نفس المبادئ البسيطة؛ نتطلع، في كل مانقدمه، لنكون شجعان، وواسعي الخيال، ومنسجمين، ومسئولين. STC is the leading telecommunication services provider in the country, with strong regional presence which enables STC to deliver a variety of distinguished services to all customers and eventually delivering growth to shareholders. 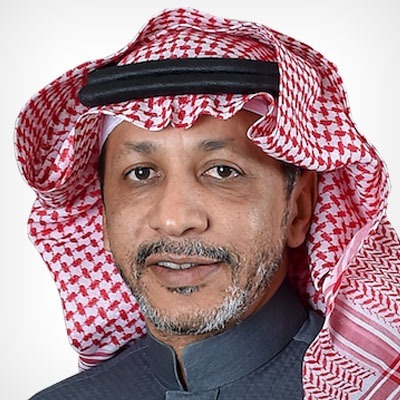 شركة الاتصالات السعودية هي الشرکة الرائدة في تقديم خدمات الاتصالات بالمنطقة، وتتمتع بتواجد دولي و إقليمي مما يؤهلها لتقديم مجموعة من الخدمات المتميزة لعملائها وبالتالي تحقيق نمو إيجابي لصالح المساهمين. 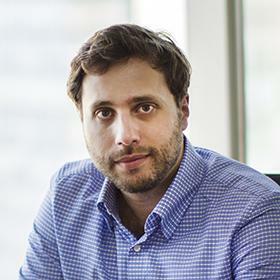 Rocket Internet incubates and invests in Internet companies with proven business models. 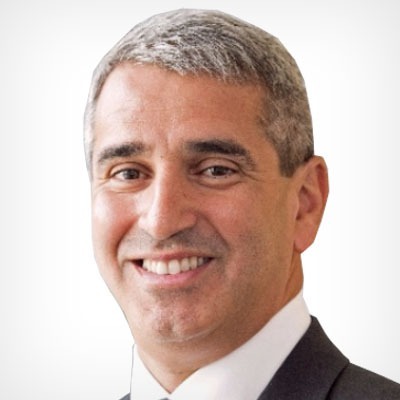 It provides operational support to its companies and helps them scale internationally. Rocket Internet focuses predominantly on four industry sectors of online and mobile retail and services that make up a significant share of consumer spending: Food & Groceries, Fashion, General Merchandise and Home & Living. Rocket Internet’s selected companies are active in a large number of countries around the world with more than 28,000 employees. Rocket Internet SE is listed on the Frankfurt Stock Exchange (ISIN DE000A12UKK6, RKET). Some of the investments and incubations in the Middle East are Talabat, Wadi.com and Namshi.com. For further information, please visit www.rocket-internet.com. A global network of freelance facilitators to support clients with top team effectiveness, leadership development and executive coaching. 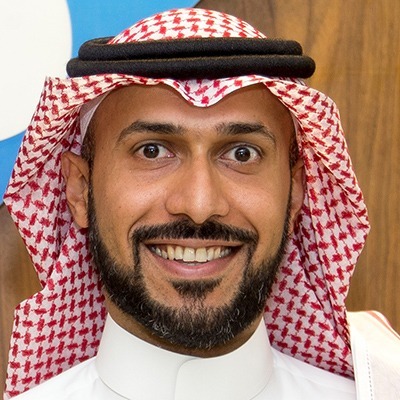 شبكة عالمية من المدربين المتفرغين لدعم العملاء في تحديات مثل فاعلية كبار القادة وتنمية جيل جديد من القادة ومساعدة المديدرين التنفيذين عن طريق الكوتشينج. Smaat is the leading digital marketing management company in the Kingdom of Saudi Arabia. Its establishment in 2012 was inspired by the widespread outburst of social media consumption in the Kingdom. In a remarkably short period of time, Smaat gained the confidence of the region’s biggest names, which, in turn, allowed for the company to expand. Today, the company’s offices span out across the borders, with locations in the United Arab Emirates and Egypt. Furthermore, Smaat is proud to have cemented substantial partnerships with global companies such as Google, Facebook, and Snapchat. Smaat has also worked with the largest national projects, government agencies, and the private sector, too. 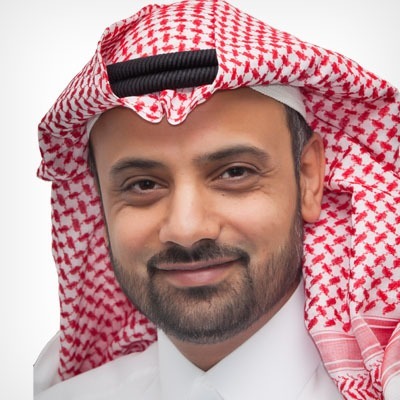 In addition to the above, Smaat has covered (and continues to cover) local and international conferences and events - chief of which are the Riyadh Summit and the Future Investment Initiative. 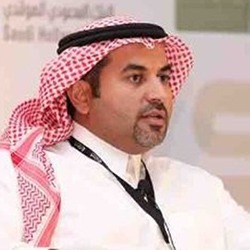 تعد شركة سماءات اليوم الاسم الأبرز في مجال الإعلام والتسويق وإدارة المحتويات الرقمية في المملكة العربية السعودية والخليج العربي والشرق الأوسط، حيث تأسست الشركة مع بداية الانتشار الكبير لشبكات التواصل الاجتماعي في المملكة العربية السعودية عام 2012، وتمكنت خلال فترة وجيزة من البروز وكسب ثقة الكثير من العملاء المهمين في المنطقة، ما دفعها للتوسع وافتتاح عدد من المكاتب الخارجية في كل من الامارات العربية المتحدة وجمهورية مصر العربية. وتعتز سماءات بشراكتها القوية مع عدد من شركات العالمية مثل جوجل وفيسبوك وسناب شات، وعملها مع أكبر المشاريع الوطنية والجهات الحكومية وشركات القطاع الخاص، بالاضافة إلى تغطيتها للعديد من المؤتمرات والمبادرات المحلية والعالمية كقمة الرياض ومبادرة مستقبل الاستثمار. أقر أنني أفهم شروط الاستخدام لموقع قمم qimam.com وأوافق عليها بموجب شروط الاستخدام هذه (“الشروط”)، وكذلك الخدمات المقدمة عبر الموقع الإلكتروني (ويشار إليه بـ “الموقع”) و”أنا” (“المتقدم” أو “المستخدم) مستخدم للموقع إلى جانب مشغّل الموقع (“قمم”). أوافق باستخدامي للموقع أو تسجيل الدخول فيه أو إرسال رسالة، أو التوا له، على أنني خاضع للشروط والتعديلات التي قد تطرأ من وقت لآخر. أقر بتقديمي لبرنامج قمم بأن المعلومات التي أقدمها بصفتي متقدمًا سيتم مراجعتها وإتاحتها لأطراف ثالثة, كما إنني أقر بأن أي معلومات أو مواد واردة في طلبي للالتحاق بالبرنامج قد يتم نشرها. 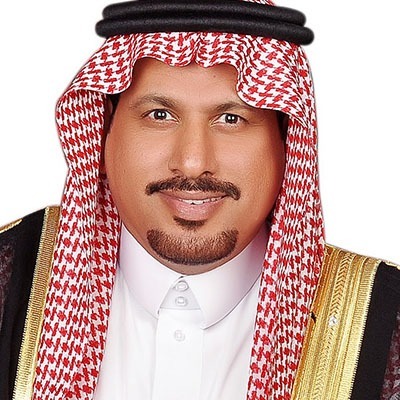 و يمكن أن يتم الاحتفاظ بطلبي أو استبعاده أو رفضه أو حذفه حتى بعد قبولي في البرنامج في أي وقت حسبما تراه قمم ضروريًا من دون تفسير. سيتم تجاهل طلبات المتقدمين الذين لم يلتزموا بجميع الخطوات الواردة أعلاه أو أضافوا معلومات خاطئة أو مضللة. 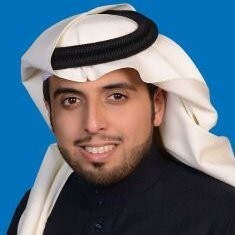 يجري تقييم المتقدمين بناء على مستويات الأداء الأكاديمي والتمتع بروح المبادرة والمسؤولية الاجتماعية, ولكن الأداء القوي في أحد هذه المجالات قد يكون كافياً أيضاً للقبول في البرنامج وذلك يعود لتقدير قمم المطلق، كما أن قمم غير مطالبة بتفسير قراراتها. 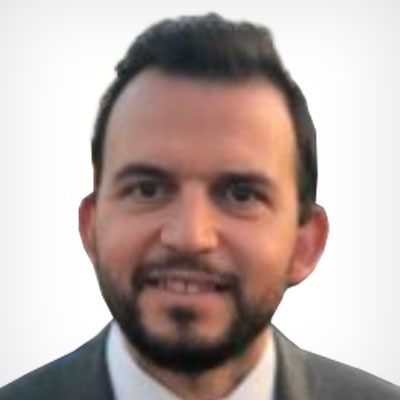 يجوز للمتقدمين غير الناجحين التقدم ثانية في السنوات اللاحقة؛ في حالة استيفائهم لمعايير التقديم والتأهيل. 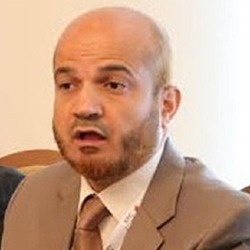 و لن تقدم قمم أي إيضاحات حول عدم نجاح المتقدمين للالتحاق بالبرنامج, وتعد نتائج الطلبات نهائية. يجوز لـ”الموقع” إتاحة المعلومات التي أرسلتها إلى قمم لدى تقدّمي للالتحاق للبرنامج عبر الموقع أو ملفات تعريف الارتباط الخاصة بـه أو تحليلات جوجل لأطراف ثالثة. لا يعد سعي قمم لإتاحة الموقع لي باستمرار بمثابة ضمان لإتاحة الموقع أو تشغيله أو تسجيل الدخول عليه في أي وقت من الأوقات, وتقر بحق الموقع في تعديل أوتغيير أوتحديث أو إزالة الموقع في أي وقت من الأوقات, كما تحتفظ قمم بحق إجراء التعديلات على الموقع لأسباب أمنية أو حماية الملكية الفكرية أو لأسباب قانونية أو أي أسباب أخرى حسب تقديرها، كما أن قمم غير مطالبة بتقديم إيضاح بشأن هذه التعديلات, فعلى سبيل المثال، قد تطرح قمم تحديثات لإصلاح أخطاء أمنية أو الامتثال لمطالب قانونية. و أدرك أن هذا ليس شرحًا وافيًا ولا ملزمًا للكيفية التي يمكن لقمم بها ممارسة حقوقها بموجب هذا القسم، ولا يرد في هذا القسم ما يلزم قمم باتخاذ إجراءات لتحديث الموقع لأسباب أمنية أو قانونية أو غير ذلك من الأسباب. وأقر أن قمم غير مطالبة بإتاحة الوصول لموقعها وأنه يجوز لقمم حجب الموقع في أي وقت ولأي سبب من الأسباب. أوافق بتقدُّمي للالتحاق بالبرنامج على المشاركة في مزايا البرنامج المدرجة على الموقع، وأنها تعد إلزامية و يجوز لبرنامج “قمم” تغيير المزايا التي يوفرها بحسب ما تراه قمم مناسبًا. 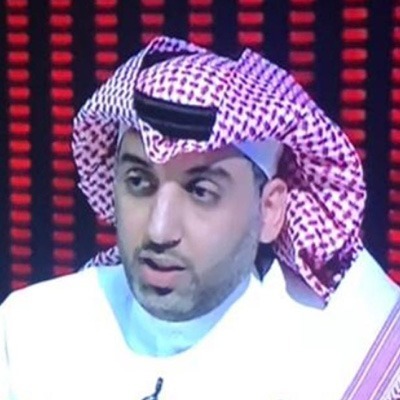 و إن عدم مشاركتي في مزايا البرنامج (على سبيل المثال، عدم حضور التدريب أو حفل التكريم)، سيؤدي إلى عدم أهليتي لهذا البرنامج وكافة المزايا المتعلقة به (السابقة أو الحالية أو المستقبلية) ويجوز استبعاد الأشخاص المختارين حسب تقدير قمم الخاص ولا يوجد ما يلزم قمم بشرح هذه القرارات. قد يحتوي الموقع على روابط لمواقع مملوكة لأطراف ثالثة أو أشخاص غير خاضعة لملكية قمم أو إشرافها وأقر بعدم خضوع المحتوى أو سياسات السرية أو ممارسات الأطراف الثالثة من أشخاص ومواقع لإشراف قمم أو ملكيتها. وإضافة لهذا، أقر بعدم خضوع المحتويات الخاصة بالأطراف الثالثة سواء كانت مواقع أو أشخاص، للرقابة أو التعديل من جانب قمم وأنها غير مخولة بذلك. و أوافق بتقدمي للالتحاق بهذا البرنامج على استعراض طلبي و تقييمه من أطراف ثالثة , و أعفي باستخدامي للموقع مسؤولية قمم من أي مسؤولية ناتجة عن استخدامي للموقع وإرسالي لأي من معلوماتي. لن أستخدم أي روبوت أو شبكة عنكبوتية “كرولر” أو “سكرايبر” أو أي وسيلة آلية أو واجهة تفاعلية أخرى غير مقدمة من قِبَل قمم لدخول الموقع أو استخراج أو تصدير بيانات تم جمعها عبره. كما أتعهد بعدم استخدام الموقع بأي طريقة مضللة أو غير قانونية أو مشوهة لسمعة أي شخص كان أو تنم عن فحش أو تطفل أو استخدامه للتهديد أو المضايقة. وفي حالة اكتشاف قيامي بأي من السلوكيات آنفة الذكر، يجوز لقمم منعي من استخدام الموقع بشكل مؤقت أو دائم حسب تقدير قمم. 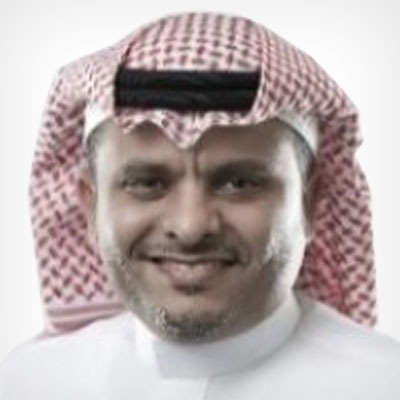 و بشكل عام تقدم قمم تفسيرًا للإيقاف المؤقت أو الدائم لاستخدامي للموقع، غير أنها تحتفظ بالحق في حجب أو إيقاف حسابي في أي وقت دون سابق إنذار أو تفسير. أ‌. تؤول ملكية الاسم “برنامج قمم”، وتصميم الموقع والنصوص والمقالات والصور والنماذج, والوثائق والرسومات والخصائص التفاعلية، إلى جانب العلامات التجارية، والعلامات والشعارات التي يحويها (“العلامات”)، وترخيصها لمالك برنامج قمم. 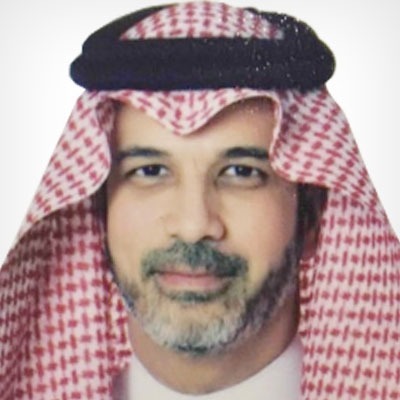 و جدير بالذكر أن العلامات محمية بموجب الحقوق النشر والملكية الأخرى والقوانين السارية في المملكة العربية السعودية والاتفاقيات الدولية, ويحتفظ المالك بجميع الحقوق غير الممنوحة صراحةً في الموقع ولصالحه. وأتعهد بعدم استخدام أو نسخ أو توزيع أي من محتويات الموقع دون إذن خطي من قمم. ب‌. أقر أنني أمنح المالك ووكلاءه الحق غير الحصري في نسخ أو تعديل أو صياغة أو إعادة ترتيب أو ترجمة أو إعادة إنشاء طلب التقدم، أو أي جزء منه لأغراض البرنامج، ومنها على سبيل الذكر لا الحصر: الإعلان، أو النشر بهدف الترويج، أو البث، أو العرض، أو التوزيع، أو التواصل مع الجمهور بشكل عام بشأن البرنامج. ج. 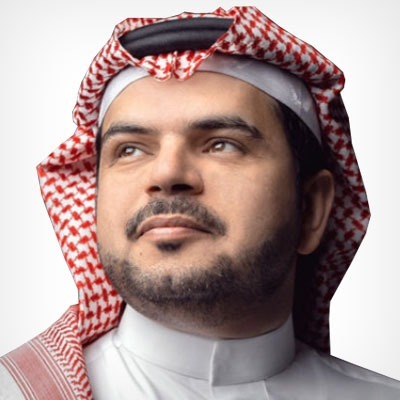 أتفهم أنه من الممكن التقاط الصور ومقاطع الفيديو لي في الفعاليات المختلفة من برنامج قمم (على سبيل المثال، خلال المقابلات الشخصية للبرنامج أو خلال برنامج التدريب الشخصي أو حفل التكريم للبرنامج أو أي فعاليات أخرى محتملة). 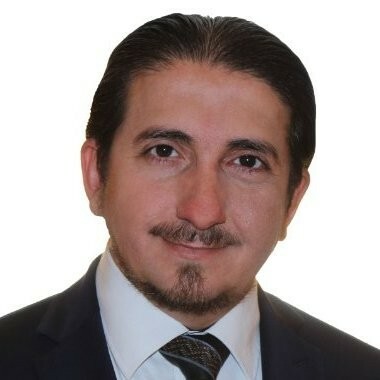 وأقر بأنني أمنح المالك أو وكلائه الحق غير الحصري في نسخ أو تعديل أو صياغة أو إعادة ترتيب أو ترجمة أو إعادة إنتاج هذه الصور أو مقاطع الفيديو أو أي جزء منها لأغراض البرنامج، ومنها على سبيل الذكر لا الحصر: الإعلان أو النشر بهدف الترويج أو البث أو العرض أو التوزيع أو التواصل مع الجمهور بشكل عام بشأن البرنامج. يجوز لقمم إنهاء خدمة وصولي للموقع أو أي من مزايا قمم إذا تبين لها التالي: (1) مخالفتي لأي قوانين معمول بها أثناء استخدامي للموقع؛ (2) مخالفتي لأي شروط أو سياسات أخرى خاصة بـالموقع، (3) إذا تبين لقمم أن أيًا من أفعالي قد تضر بـالموقع أو بمصالحها التجارية حسب تقديرها المطلق أو بقرار من المالك, وفي حال إنهاء الخدمة ستحاول قمم تقديم تفسير في الوقت المناسب، إلا أنها غير ملزمة بذلك. أتحمل المسؤولية حصرًا عن خطر استخدام الموقع وأي من الخدمات وأي ضرر واقع مما ذكر سابقًا. أ‌. فيما عدا الضمانات التي يقدمها الموقع صراحة أو الخدمات المقدمة كما هي بجميع الأخطاء المتضمنة بها ودون ضمانات من أي نوع كان، سواء كانت صريحة أو ضمنية، بما يشمل ولا يقتصر على أي ضمانات لقابلية الترويج، أو عدم الانتهاك، أو الخلو من فيروسات الحاسوب، أو الملاءمة لغرض معين. ب‌. ليس هناك ضمانات لما يلي: (1) أن الموقع وأي من الخدمات لن تتعرض للتوقف أو أنها خالية من الأخطاء؛ (2) أن الأعطال أو الأخطاء الموجودة على الموقع ستُصحح؛ (3) أن الموقع خالٍ من أي فيروسات أو مكونات ضارة؛ (4) أن أي معلومات على الموقع أو واردة في المحتويات دقيقة أو صحيحة أو محدثة أو يمكن الاعتماد عليها. ت‌. “قمم”/المالك غير مسؤول قانونيًا، وأتعهد ألا أحمّلها هي أو المالك أي مسؤولية عن أي أضرار أو خسائر بما في ذلك، على سبيل الذكر لا الحصر(فقدان الأموال، أو السمعة، أو الشهرة، أو الأرباح، أو أي خسائر غير ملموسة؛ أو أضرار خاصة، أو غير مباشرة أو مترتبة) ناتجة بشكل مباشر أو غير مباشر عن استخدامي للموقع أو أي محتويات موجودة في الموقع بناءً على ضمان أو عقد أو ضرر (بما يشمل الإهمال)، أو أي نظرية قانونية أخرى سواء تم تنويه قمم أو المالك باحتمالية وجود أضرار مشابهة أو لم يتم ذلك. يتضمن هذا الالتزام بالدفاع والإخلاء من المسؤولية “الشروط” واستخدامي لـ”الموقع”. كما إنني أتعهد بالدفاع عن قمم و عن المالك أمام الدعاوى الواردة أعلاه، ويجوز لقمم و المالك مطالبتي بدفع أتعاب المحاماة من في القضايا المذكورة آنفًا, كما أتعهد بأن التعويضات قد تشمل سدادي لأتعاب محامي قمم و محامي المالك، ورسوم التقاضي والنفقات ما دامت معقولة. وفي حالة رفع دعوى من الدعاوى المذكورة في هذه الفقرة فإنه يجوز لقممو المالك طلب التسوية مع الأطراف الثالثة التي رفعت الدعوى، وعندها أتحمل مسؤولية الأضرار كما لو كانت قمم أو كان المالك قد اختار الاستمرار في إجراءات التقاضي. 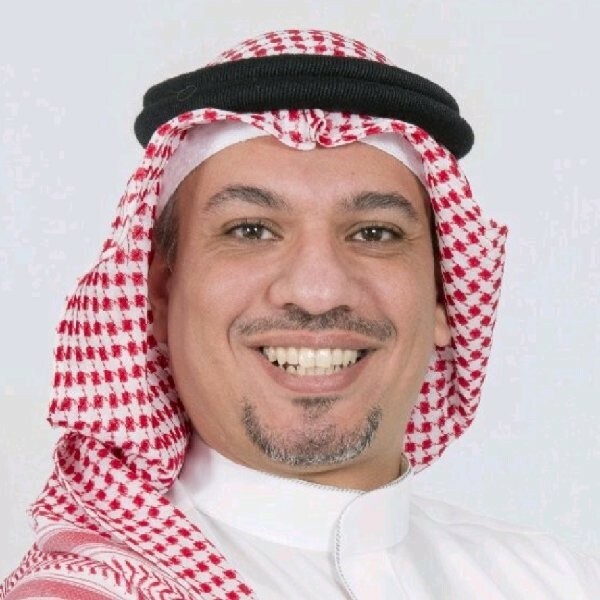 تخصع هذه الاتفاقية لقوانين المملكة العربية السعودية, ويعد العرض والقبول قد تما في الرياض، السعودية. كما أن مقر التحكيم سيكون في الرياض-المملكة العربية السعودية، ويُعقد باللغة الإنجليزية. في حال قيامي برفع دعوى بخلاف ماورد بهذه المادة فإنني أقر بجواز رفض قمم لهذه الدعوى وأتحمل أنا أتعاب المحاماة وتكاليف التقاضي والنفقات ذات الصلة. أوافق على أن الطرف الخاسر في أي نزاع ناشئ عن هذه الاتفاقية أو متعلق بها سيكون مسؤولًا عن تعويض الطرف الناجح عما تحمله من أتعاب محاماة وتكاليف تقاضٍ ونفقات ذات صلة. أقر بأن قمم غير مسؤولة تجاهي عن أي شيء قد تتحمل مسؤوليته في ظروف أخرى إن كان ناشئًا عن أحداث خارجة عن سيطرتها، ويشمل ذلك على سبيل الذكر لا الحصر: الظروف القاهرة و الحروب أو الاعتصامات، أو الإرهاب و الجرائم، أو نقص العمالة (بما فيه الإضرابات القانونية وغير القانونية)، أو الحالات الخطرة، أو الأعطال البريدية، أو أعطال التواصل، أو عطل أو نقص البنى التحتية، أو نقص المواد، أو أي حدث آخر خارج عن سيطرتها. إن كان أي من هذه “الشروط” غير قانوني أو يتنافى مع أحكام شرط آخر أو غير قابل للتنفيذ، فإن الاتفاقية تظل سارية وكأنها أُبرمت دون الشرط الغير قابل للتنفيذ. 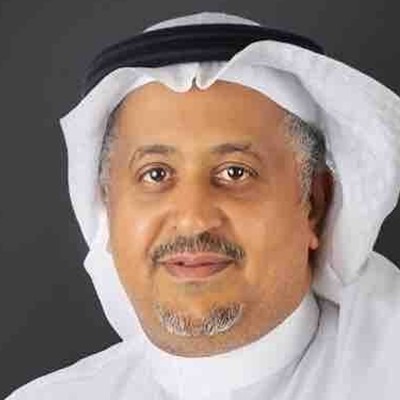 و في حالة تضارب حكمان فأكثر في هذه الاتفاقية أو أي اتفاقية أخرى أبرمتها مع قمم مع بعضهما البعض، فإنني أقر بأن قمم تملك كامل الحق في اختيار الحكم النافذ بينهما. تحتفظ قمم بجميع الحقوق الممنوحة لها بموجب هذه الاتفاقية, وفي حال عدم التزامها بتطبيق أي حكم أو أحكام واردة فيها أو أي قانون معمول به فلن يعد ذلك بمثابة تنازل من طرفها عن حقها في تطبيق هذا الحكم في ظل ظروف مشابهة أو مغايرة في أي وقت في المستقبل. تظل جميع الأحكام الواردة بهذه الاتفاقية باقية بطبيعتها بعد حجب الخدمة و نافذة بعد إنهائها، بما فيها على سبيل الذكر لا الحصر أحكام الملكية وإخلاء المسؤولية المتعلقة بالضمانات، والتعويضات وحدود المسؤولية. يجب أن يكون جميع المستخدمين للموقع بالغين لعمر 18 سنة فأكثر. لا يجوز لي أن إحالة حقوقي أو واجباتي بموجب هذه الاتفاقية لأي طرف آخر دون إذن خطي مسبق، باستثناء المالك. وأقر أنه يجوز لقمم إحالة حقوق قمم أو واجباتها بموجب هذه الاتفاقية لـلمالك. يجوز لقمم تعديل هذه الاتفاقية من وقت لآخر. وفي حالة إجراء تعديل على هذه الاتفاقية من طرف قمم فإنها تحدث هذه الصفحة وتشير لآخر تاريخ تحديث، أو تقوم بإرسال رسالة إلكترونية غير أنها ليست ملزمة بذلك, كما يجوز لي عدم الموافقة على التعديلات و يجب علي في هذه الحالة التوقف عن استخدام الموقع مباشرة. تكون جميع الاتصالات بيني وبين قمم باستعمال الوسائل الإلكترونية سواء بزيارة الموقع أو إرسال الرسائل الإلكترونية، أو تقدّمي للالتحاق بالبرنامج أو إذا نشرت قمم الإشعارات على الموقع أو تواصلت معي باستخدام البريد الإلكتروني. 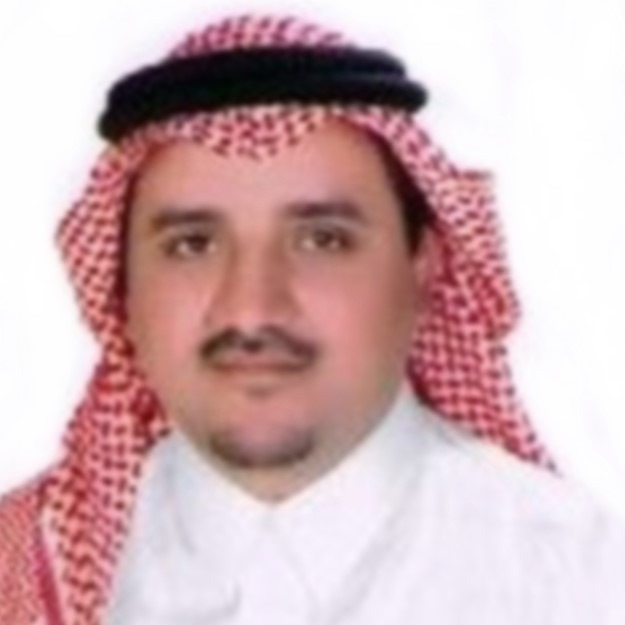 و أوافق للأغراض التعاقدية على التالي ذكره، (1) تلقي الاتصالات من جانب قمم بصيغة إلكترونية؛ (2) أن جميع الشروط والأحكام والاتفاقيات، والإشعارات والإفصاحات وغيرها من الاتصالات التي يقدمها المالك لي بصيفة إلكترونية تفي بأي متطلب قانوني يجب أن تفي به هذه الاتصالات إن كانت خطية. و لا يؤثر ما ذُكر سابقًأ على حقوق قمم القانونية. قمم هو برنامج مدعوم من مجموعة من الشركات المحلية والعالمية الرائدة في السعودية، يهدف إلى البحث عن طلاب وطالبات الجامعات السعودية الواعدين والأكثر تميزًا وتمكينهم وتطويرهم لتحقيق طموحاتهم المهنية. وأسّس برنامج قمم بناءً على إيمان عميق بأن المملكة غنية بالمواهب المتميزة، وأن تطوير تلك المواهب هو من أفضل الاستثمارات لبناء مستقبل مشرق. تأسس برنامج “قمم” بمبادرة مشتركة من قبل شركة “ماكنزي آند كومباني” والدكتور أنس عابدين، رائد أعمال ومستشار سابق في شركة ماكنزي. ويتم تمويل البرنامج من قبل “ماكنزي” بدعم سخي من شركة “المسافر” التي تغطي جميع نفقات السفر والإقامة المتعلقة بالبرنامج. يقدم البرنامج للطلاب والطالبات الذين تم اختيارهم إرشادًا مهنيًا مباشرًا من قبل قياديين في القطاعين العام والخاص، والتدريب القيادي من خلال مهنيين وتنفيذيين يعملون في شركات مرموقة، وزيارات لمكاتب شركات محلية وعالمية رائدة في المملكة العربية السعودية، بالإضافة إلى عضوية في شبكة خريجي قمم، وحصولهم على وسام تقديرًا لتميزهم في حفل تكريمي رفيع المستوى بعد إكمالهم للبرنامج، وتقديم سيرهم المهنية إلى أقسام الموارد البشرية في شركات رائدة في المملكة لتسهيل حصولهم على الفرص المهنية والوظيفية. نعم. بعد أن تُكمل البرنامج، سيتم تتويجك بـ “وسام قمم للقيادات الواعدة” في حفل تكريمي يوم 22 يونيو 2019 بحضور ممثلين عن شركائنا وغيرهم من الشخصيات القيادية من القطاعين العام والخاص. حضور الورش التدريبية إلزامي (من 11 إلى 22 يونيو من عام 2019 في الرياض). يتطلب من جميع المشاركين (بمن فيهم المقيمين في الرياض حاليًا) النزول في الفندق الذي سيجرى فيه التدريب خلال فترة البرنامج (علمًا بأن برنامج قمم وشركاءه سيتكفلون بتغطية جميع تكاليف السفر والإقامة). إن الحصول على “وسام قمم للقيادات الواعدة” ودخول شبكة خريجي برنامج قمم يتطلب حضور التدريب كاملًا، والتغيب عن أي من الجلسات أو التغيب عن الإقامة في الفندق خلال فترة البرنامج سيؤدي إلى الاستبعاد من البرنامج. نعتذر منك، لا يمكنك ذلك. فالبرنامج متاح فقط للطلاب والطالبات الذين يدرسون في مرحلة البكالوريوس أو الماجستير حاليًا. لا تفوّت فرصة التسجيل في البرنامج بعد أن تلتحق بالجامعة! بالطبع! طالما أنك تستوفي معايير الأهلية الخاصة بالبرنامج، يمكنك التقدّم مجددًا في العام المقبل. بالطبع! طالما أنك تستوفي معايير الأهلية الخاصة بالبرنامج، يمكنك التقدّم مجدداً هذا العام. نعتذر منك، لا يمكنك ذلك. فالبرنامج متاح فقط للطلاب والطالبات الذين يدرسون في مرحلة البكالوريوس أو الماجستير حاليًا (يجب أن يكون الموعد الرسمي لتخرجك من الجامعة بعد 22 يونيو من عام 2019). نعم. 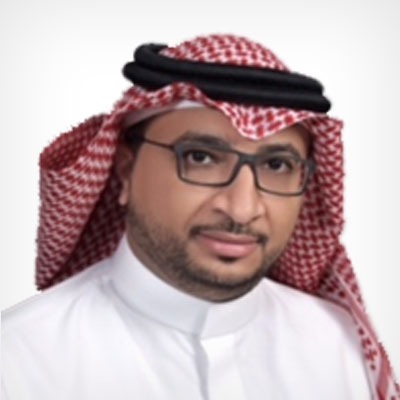 يحق لجميع طلبة جامعات المملكة العربية السعودية من جميع الجنسيات تقديم طلب للالتحاق بالبرنامج، إضافة إلى المواطنين السعوديين الذين يدرسون حاليًا في جامعات خارج المملكة. برنامج قمم مجاني بشكل كامل، إذ سيغطي برنامج قمم وشركاؤه جميع التكاليف المتعلقة بالبرنامج (بما فيها متطلبات السفر والإقامة). شكراً لتقديمك الطلب. 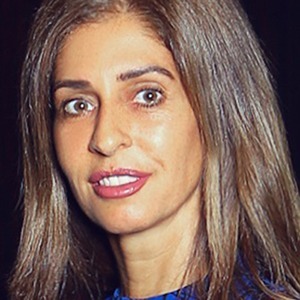 سنُعلِم المتقدمين عمّا إذا تم اختيارهم لمرحلة المقابلة يوم 9 مارس 2019. 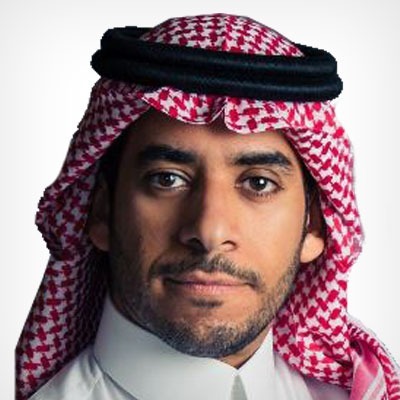 يرجى متابعتنا على وسائل التواصل الاجتماعي وتفقد بريدك الوارد (بما في ذلك مجلد الرسائل غير المرغوب بها) لمعرفة آخر المستجدات. نعم، سيتم التحقق من المعلومات التي تقدمها في طلبك في مراحل مختلفة من عملية تقييم الطلبات، وسيُستبعد المتقدمون الذين يتبين أنهم قدموا معلومات خاطئة، أو الذين لم يقدموا المعلومات المطلوبة في الوقت المحدد. الرجاء التأكد من صندوق الرسائل غير المرغوب بها. 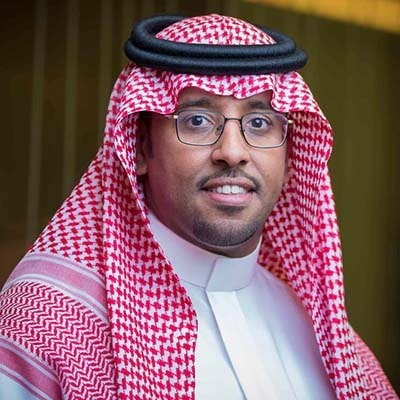 في حال عدم تلقيك رسالة التأكيد بعد التحقق من الصندوق المذكور، نرجو منك التواصل مع فريق الدعم على البريد الإلكتروني info@qimam.com. للأسف لا يمكنك التقدّم بطلب بعد انتهاء الموعد النهائي. 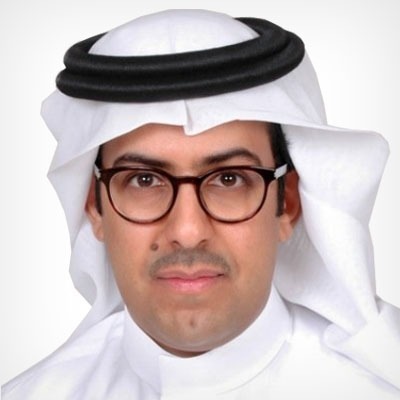 يرجى متابعتنا على وسائل التواصل الاجتماعي لمعرفة آخر المستجدات عن البرنامج ومعرفة مواعيد التقديم لعام 2020. ستجري جميع المقابلات في مدينة الرياض بتاريخ 23 مارس 2019، وسيتم إعلام المرشحين للمقابلات وإرسال جميع الخدمات اللوجستية والمعلومات المتعلقة بالسفر عبر البريد الإلكتروني أيضًا. 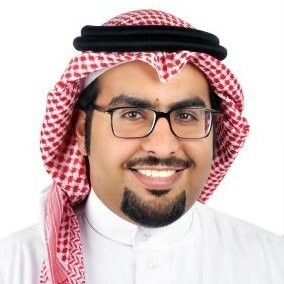 للأسف، يجب أن تحضر شخصيًا لإجراء المقابلة في مدينة الرياض بتاريخ 23 مارس 2019، إذ تعدّ المقابلات الشخصية عنصرًا أساسيًا في عملية الاختيار الدقيقة لبرنامج قمم. 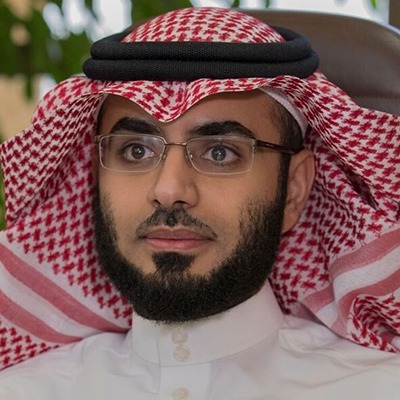 سيتمّ تقديم استثناءات للطلاب الذين يدرسون في جامعات خارج المملكة، حيث سيُمنحون فرصةً لإجراء المقابلات عبر الإنترنت. يتعاون برنامج قمم مع شركة “المسافر” لإتمام جميع ترتيبات السفر لمن تمّ ترشيحهم للمقابلات، حيث ستُرسل تفاصيل السفر إلى بريدهم الإلكتروني. كما ستغطي شركة “المسافر” تكاليف السفر كاملةً. سنقوم بتقييم المتقدمين والاختيار بينهم بناءً على ثلاثة معايير: الأداء الأكاديمي، وروح المبادرة، والمسؤولية الاجتماعية. إذا كنت متميزًا في أحد هذه المعايير على الأقل، فإننا نشجعك بشدّة على التقديم، علمًا بأن المتقدمين الذين يتميزون في المعايير الثلاثة لديهم فرصة أعلى للقبول في البرنامج، ولكن الأداء القوي في أحد هذه المعايير الثلاثة قد يكون كافيًا أيضًا. يرجى زيارة موقعنا الإلكتروني لتصفّح السير الذاتية لخريجي برنامج قمم لعام 2018 لتكوين فكرة أوضح عمّا نبحث عنه في المتقدمين لبرنامج قمم. كلا للأسف، فالقرارات نهائية ولا يمكن طلب مراجعتها. كلا للأسف، فلن يكون من الممكن تقديم ملاحظات فردية حول الطلبات نظرًا لعدد المتقدمين الكبير.